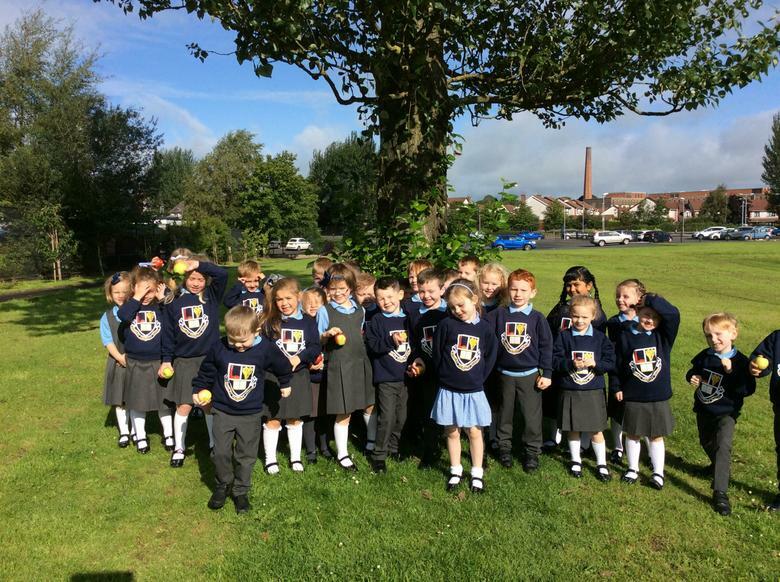 Welcome to Primary 2, 2018-19 and thank you for visiting our website! 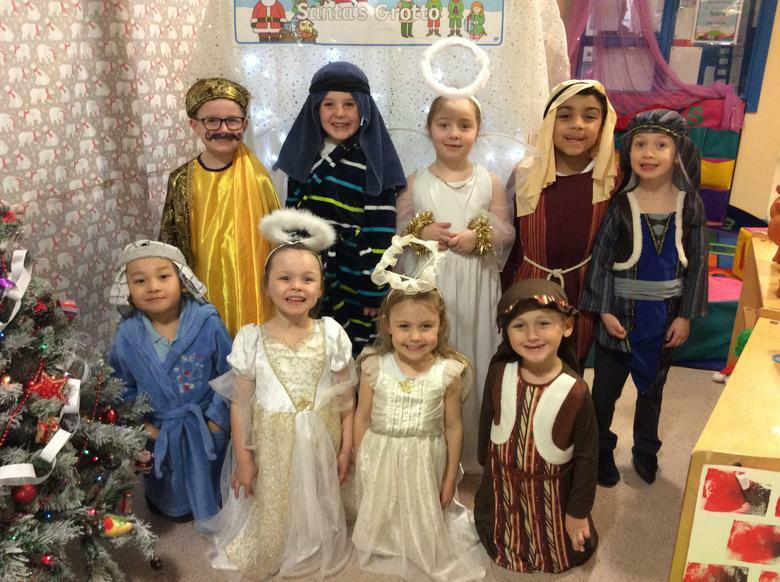 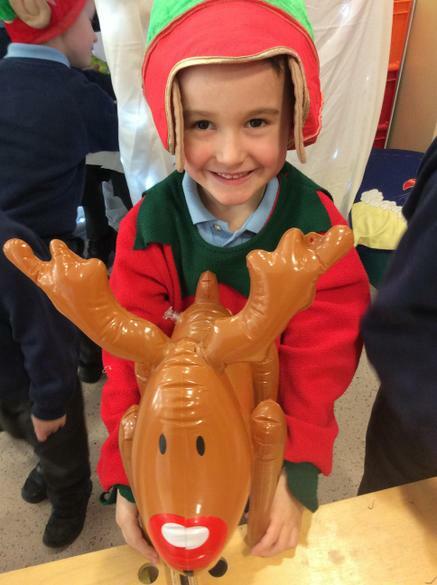 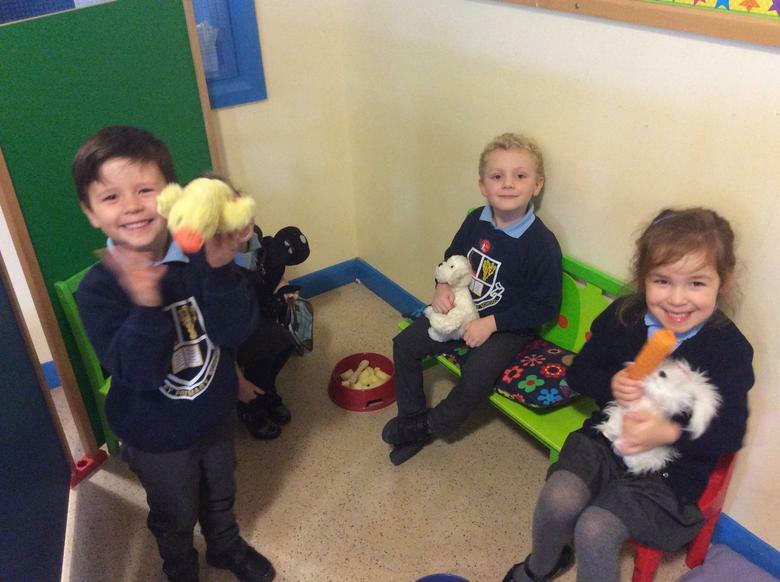 We want to thank all of the children and the parents for a wonderful start to our term. 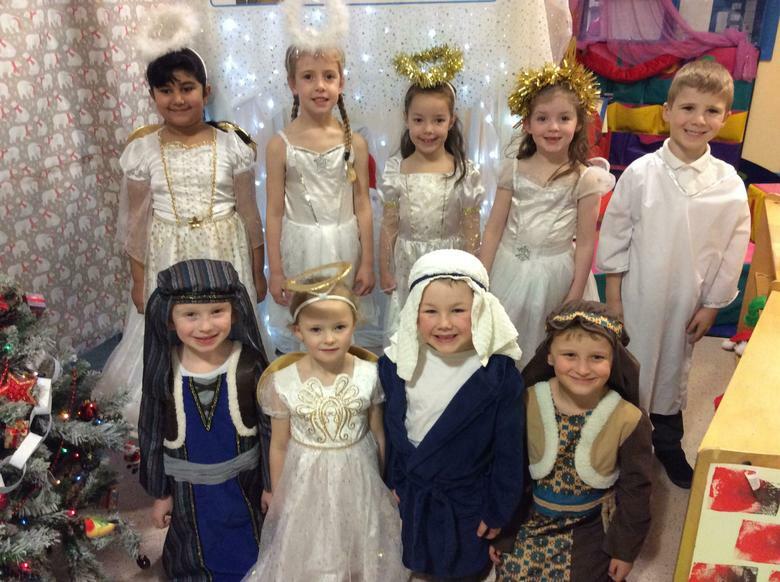 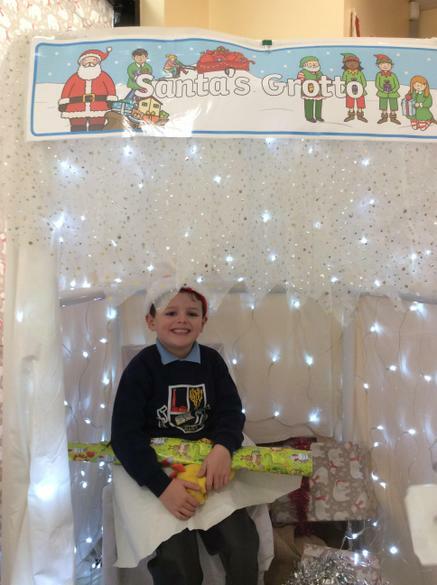 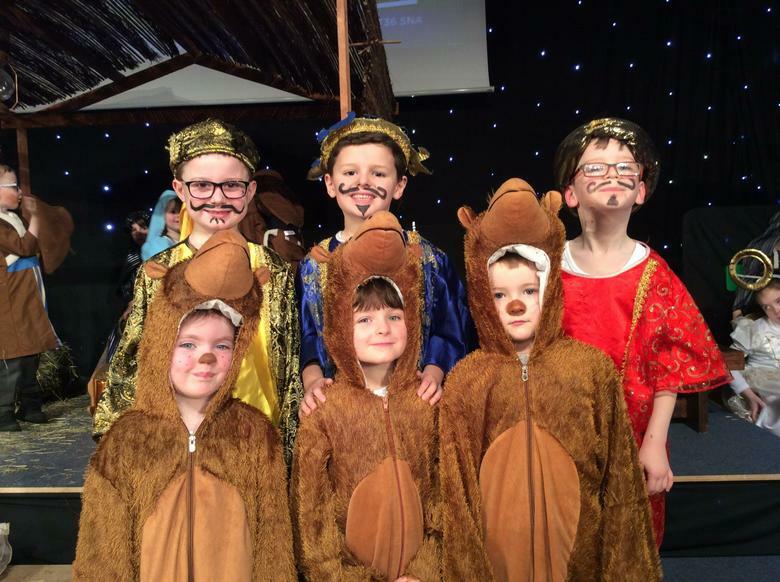 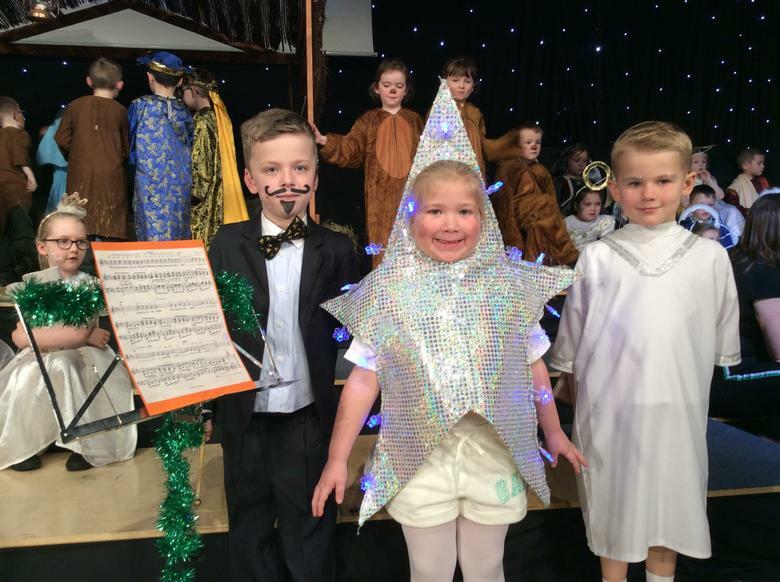 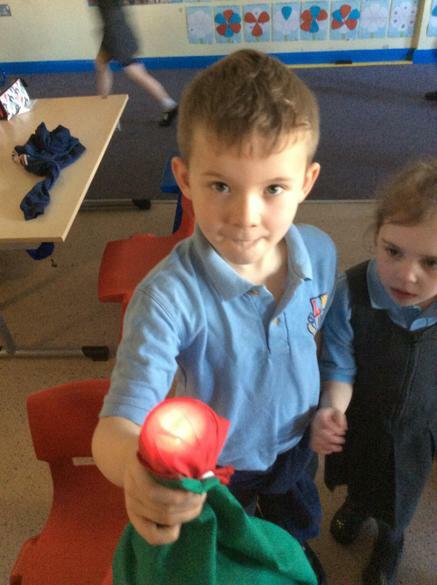 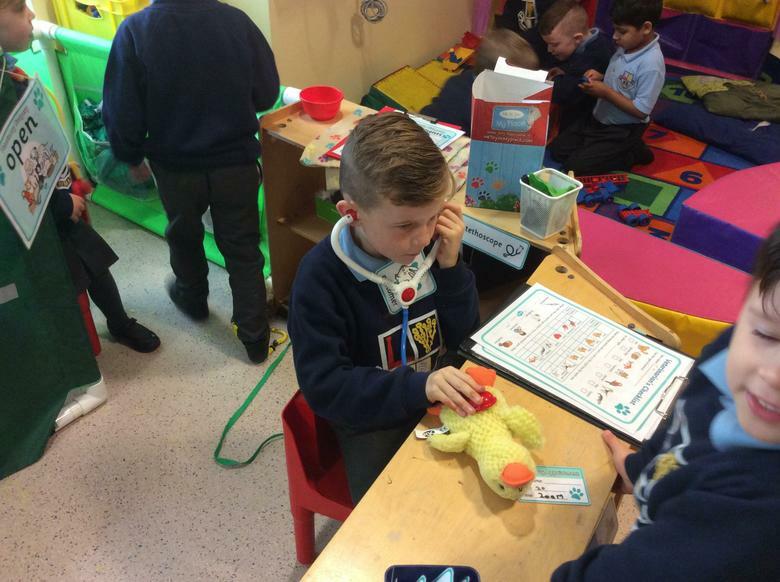 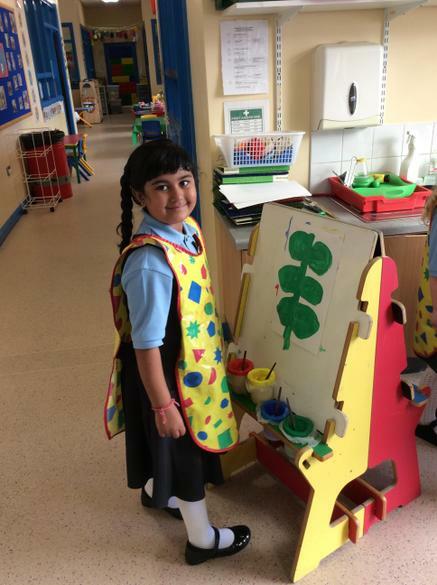 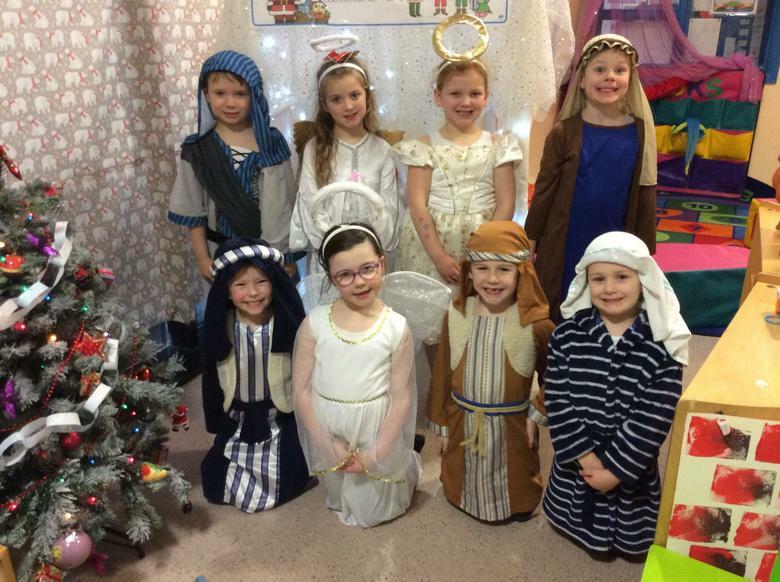 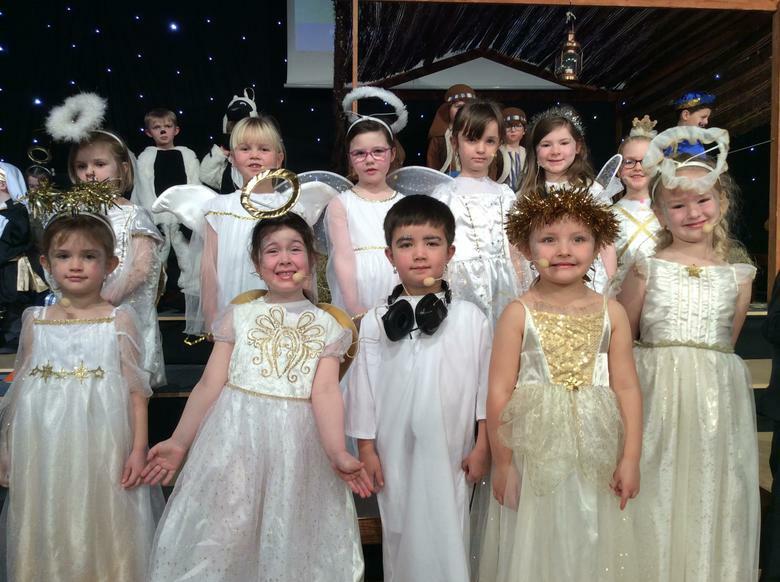 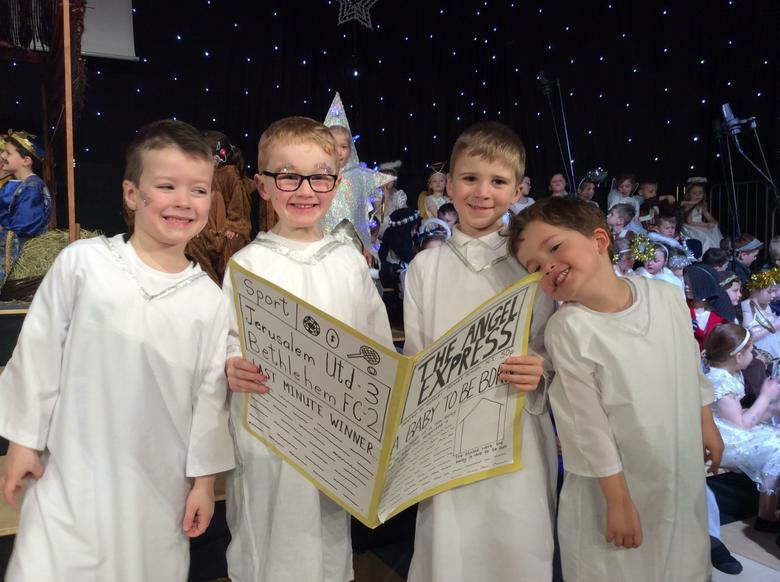 We are very proud of the children for how quickly they have settled and for all the things they have achieved so far. 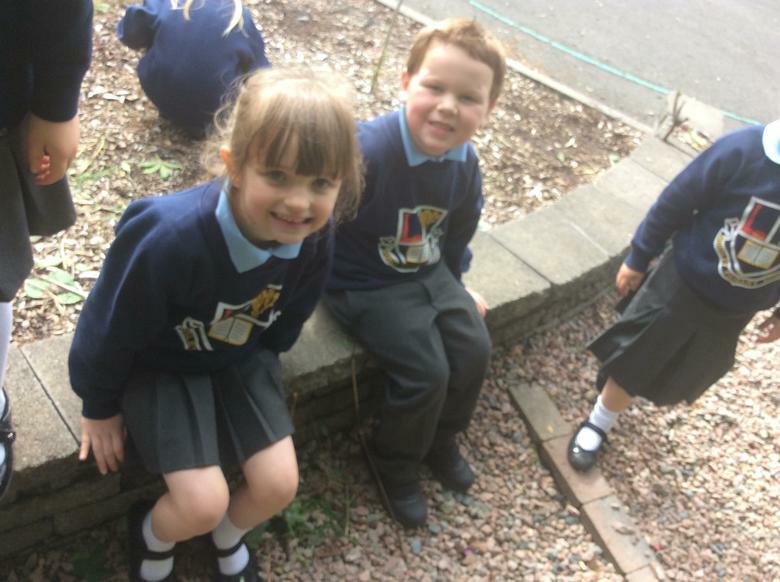 We are excited for them as they head into their big P2 adventure! 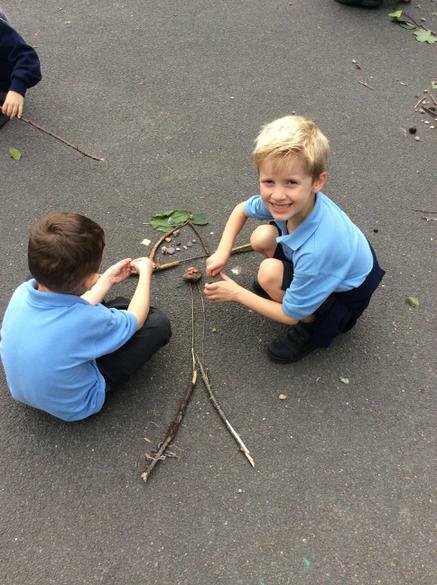 We are learning about the body. 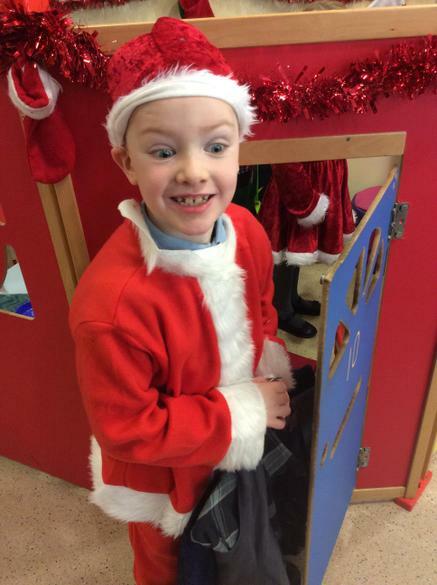 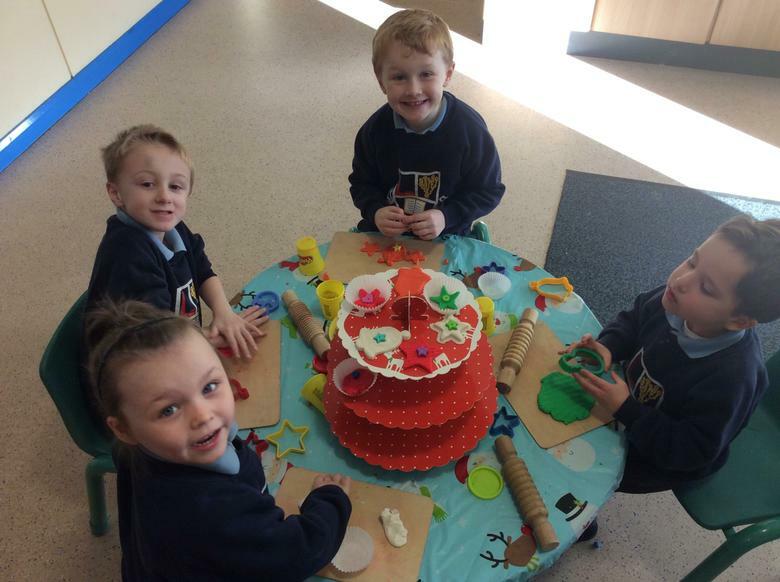 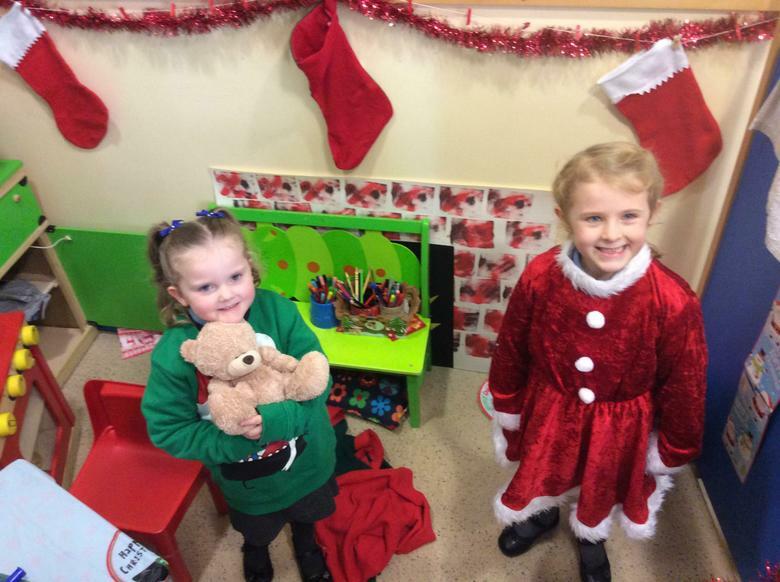 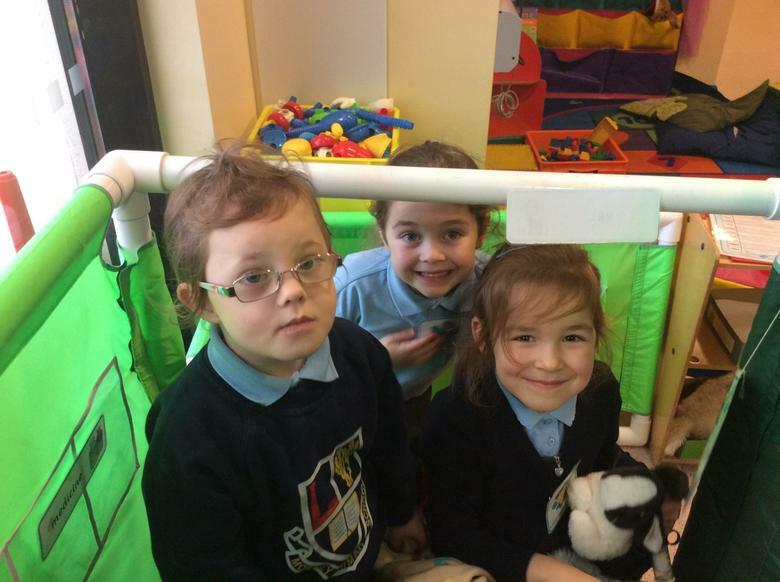 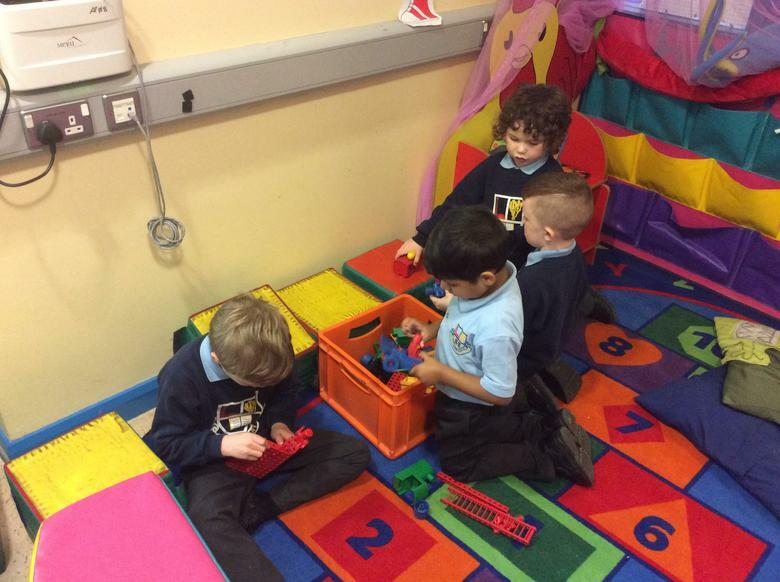 We are enjoying our Christmas Play Area. 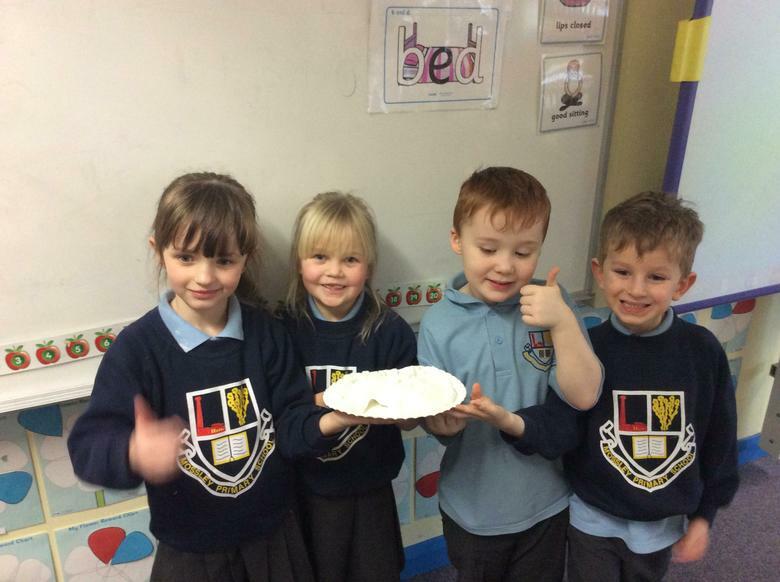 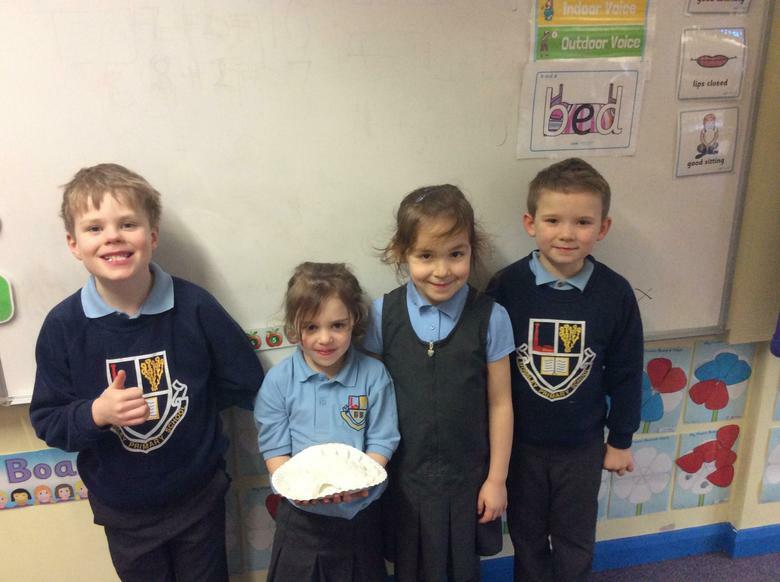 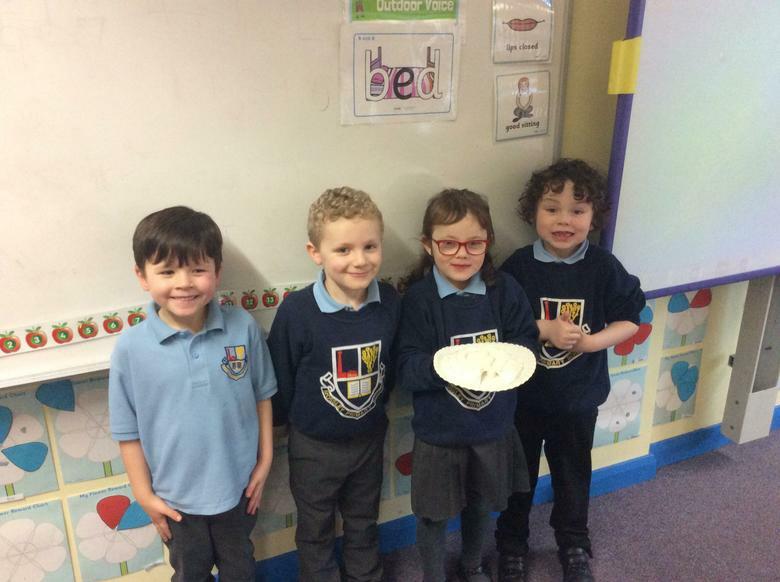 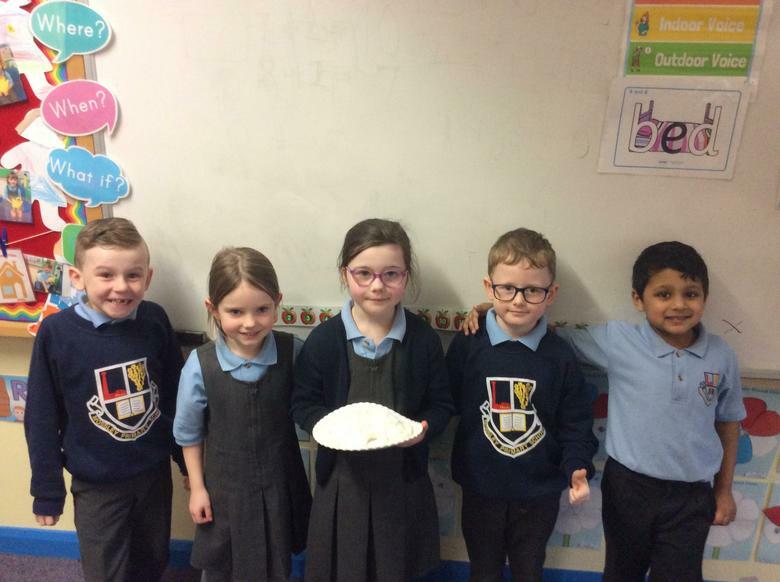 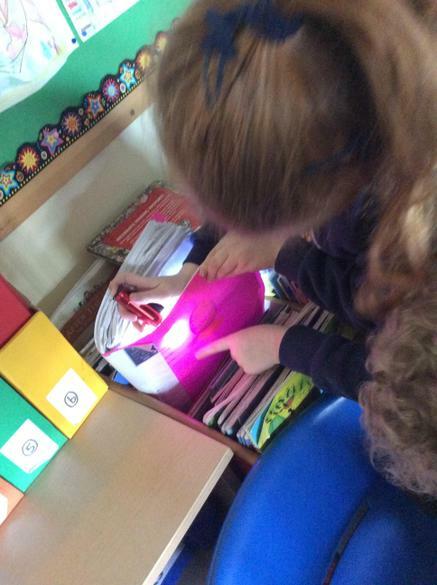 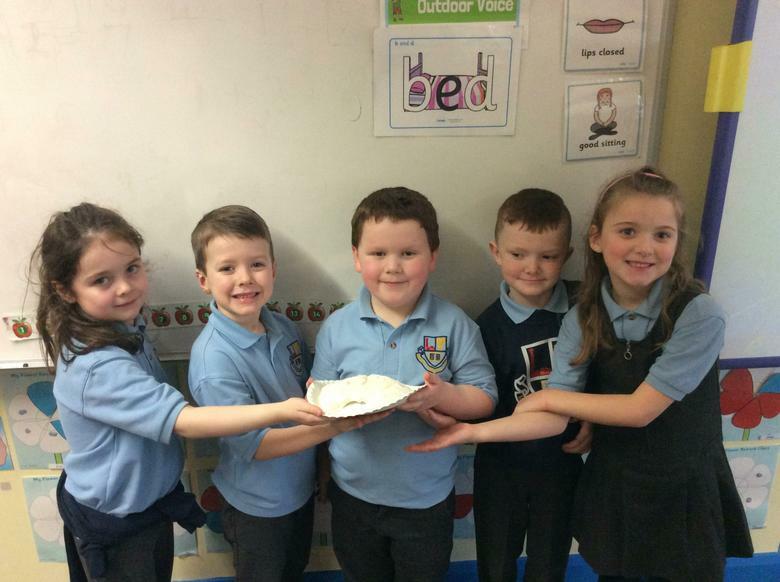 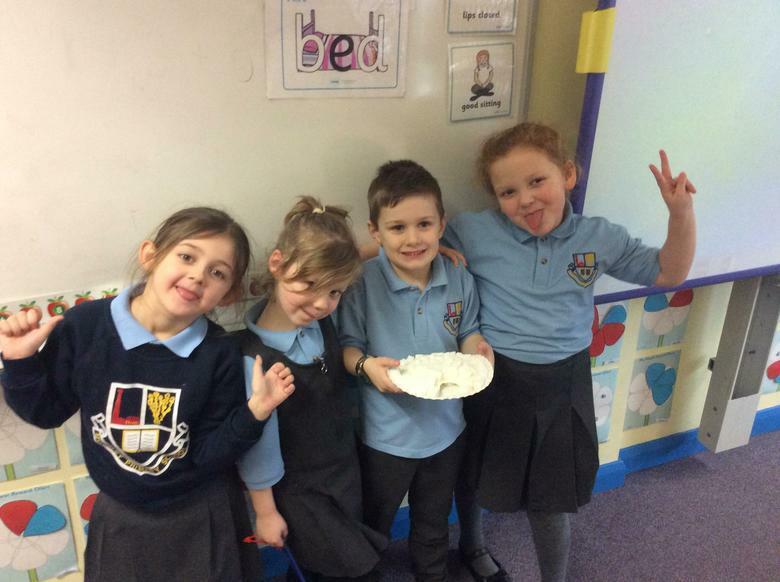 We used instructions to make jelly...it was yummy! 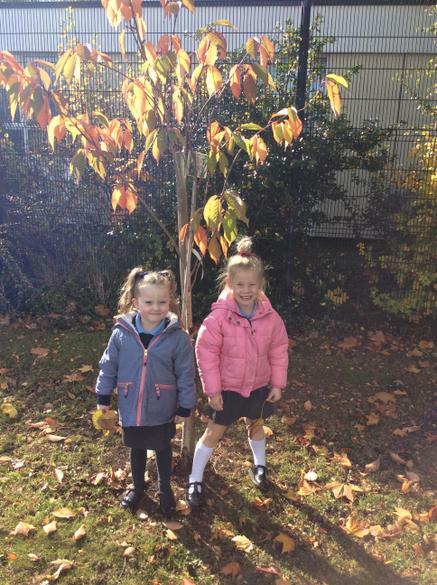 Helping to plant Acer trees for our 150th Anniversary celebration. 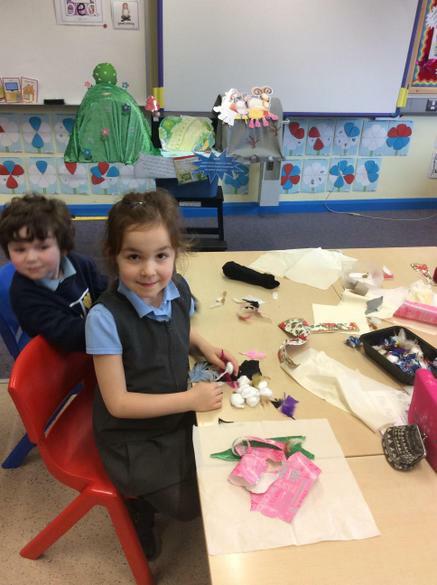 Shiver me timbers....it's P2's Pirate Day! 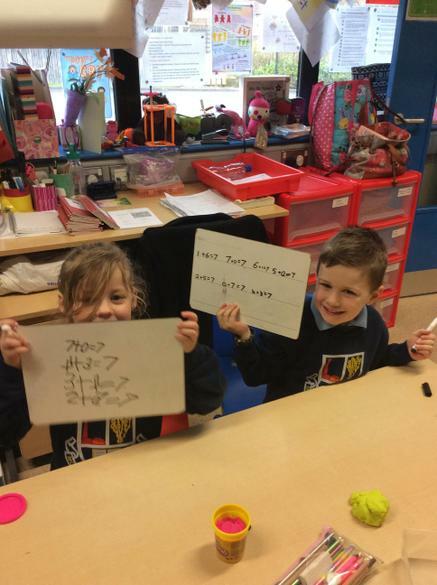 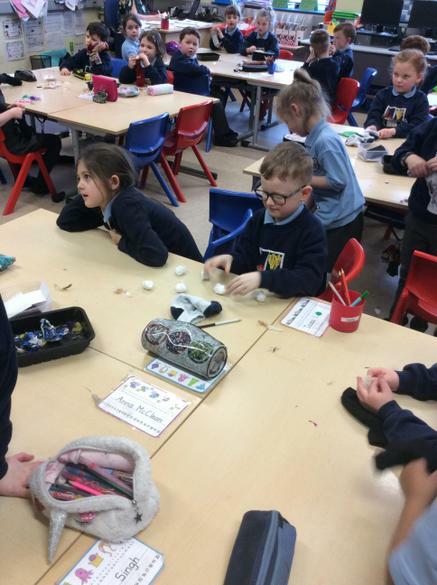 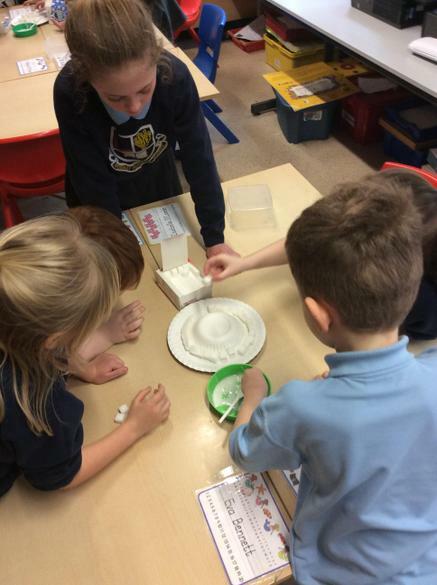 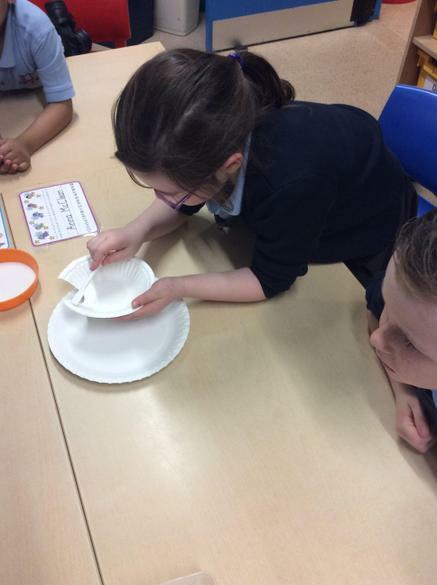 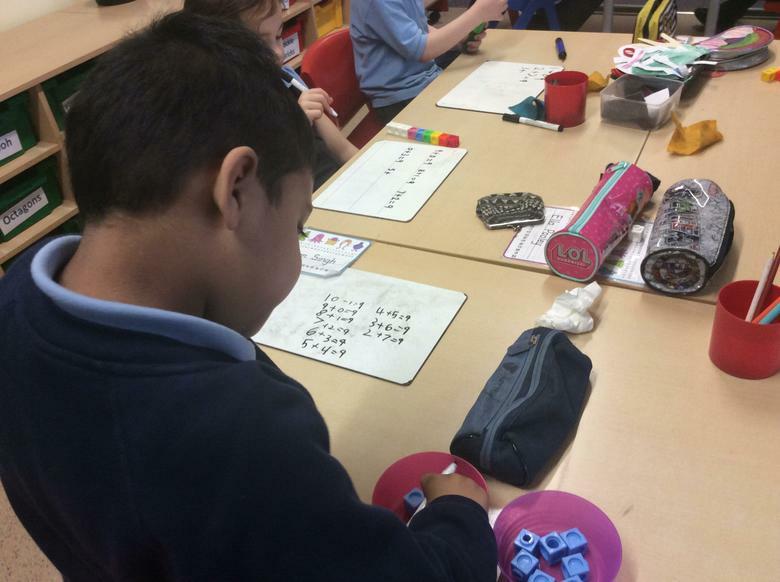 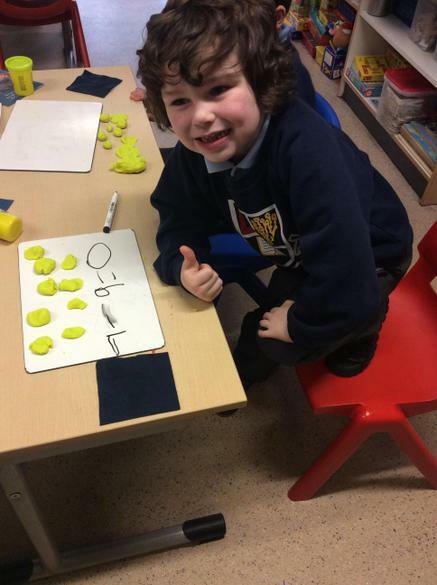 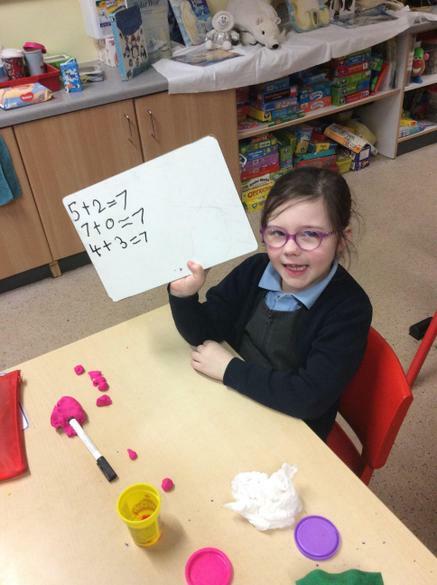 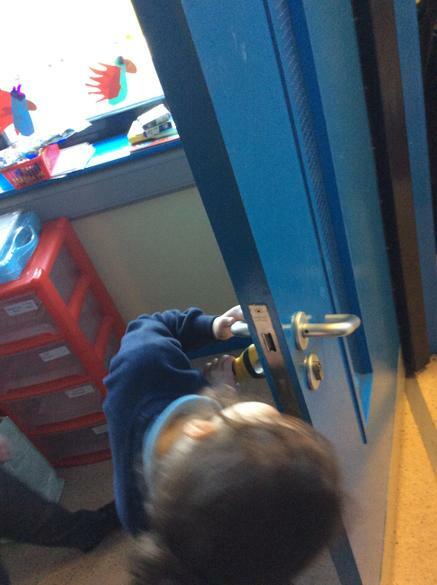 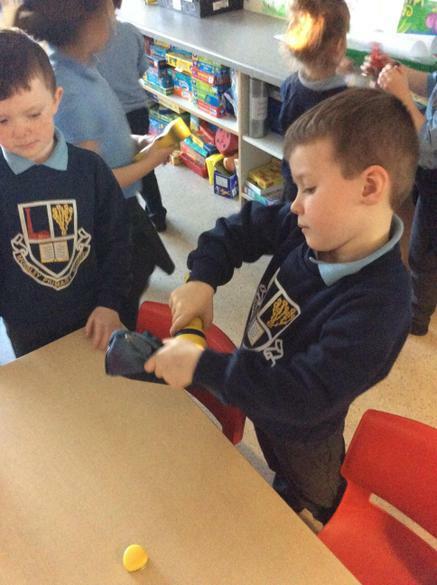 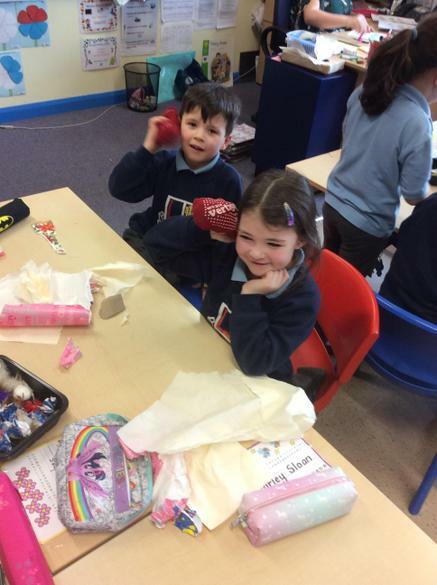 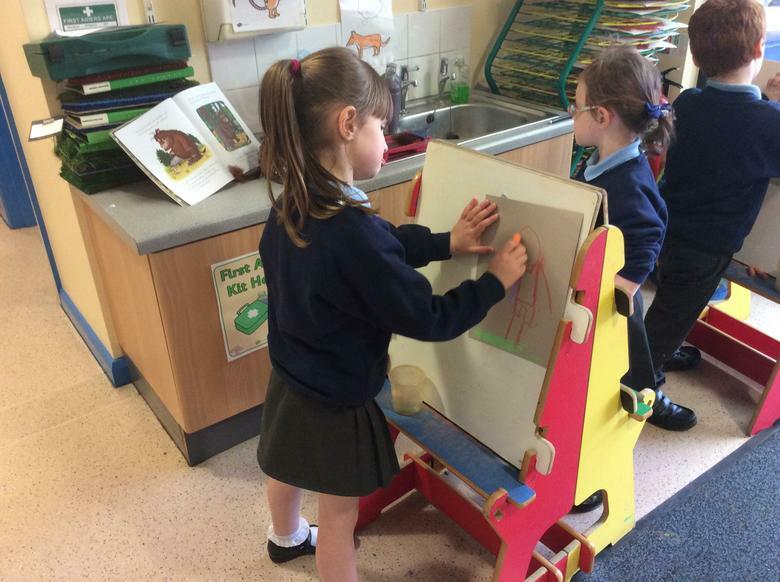 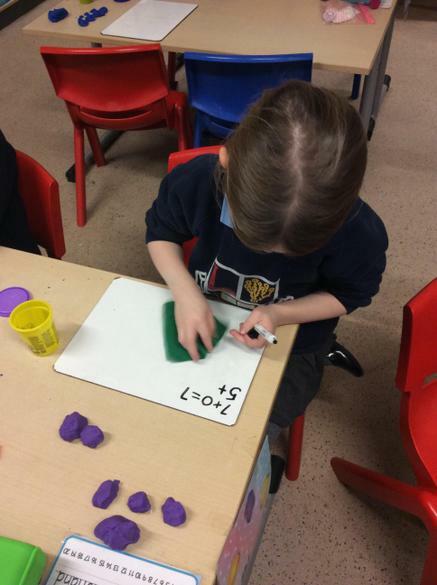 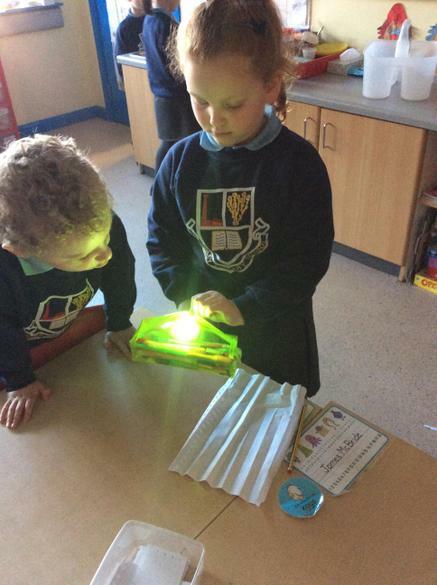 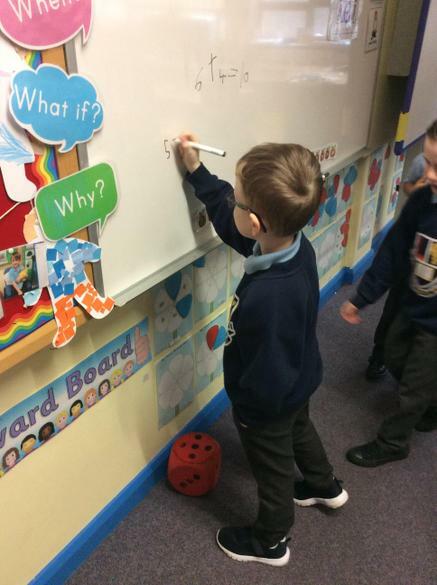 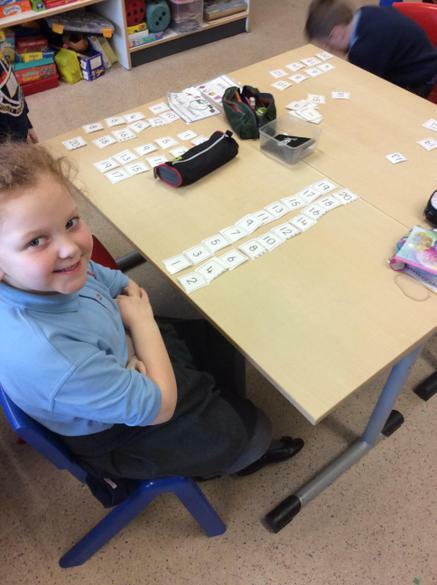 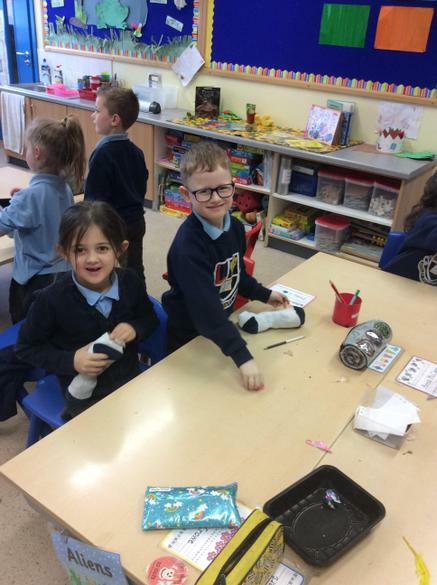 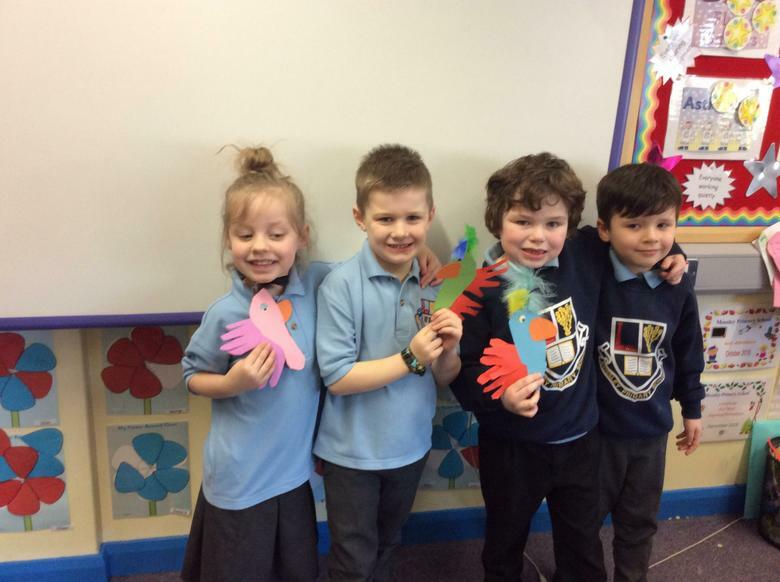 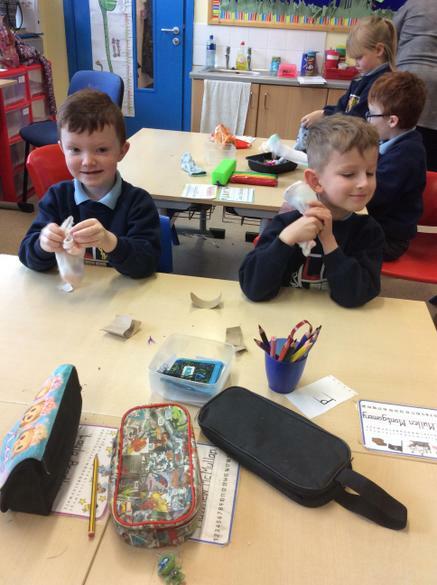 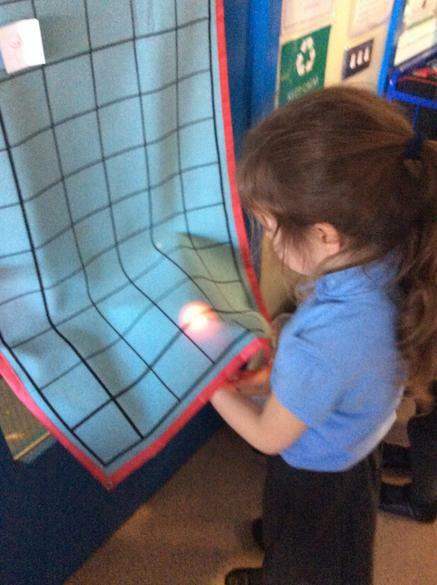 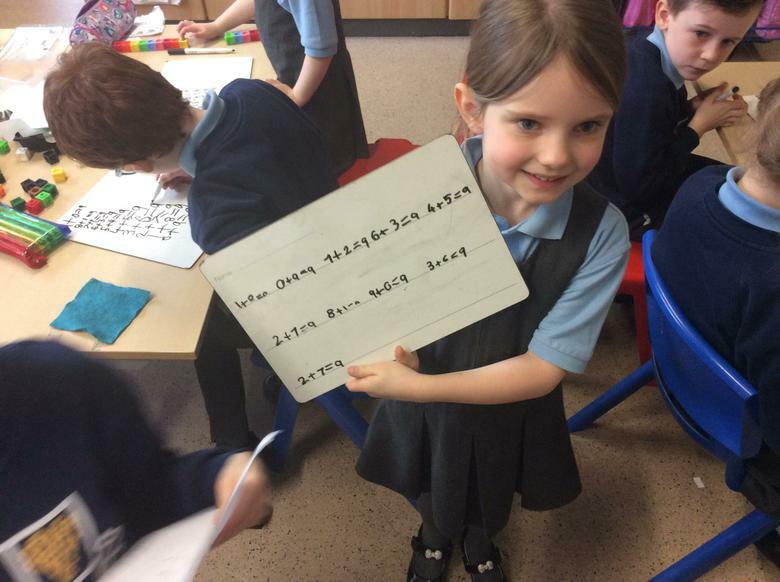 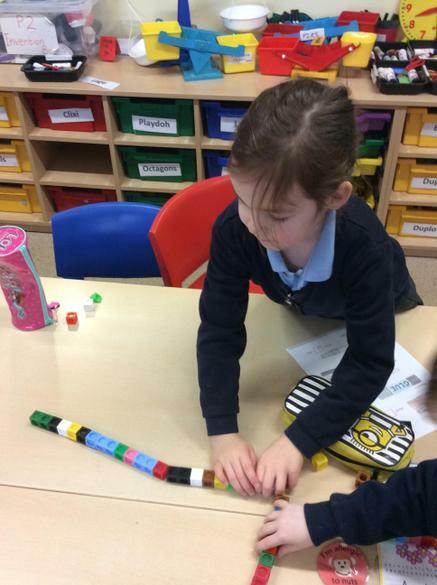 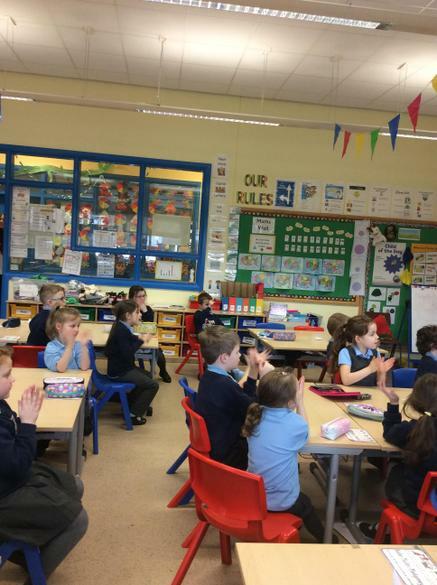 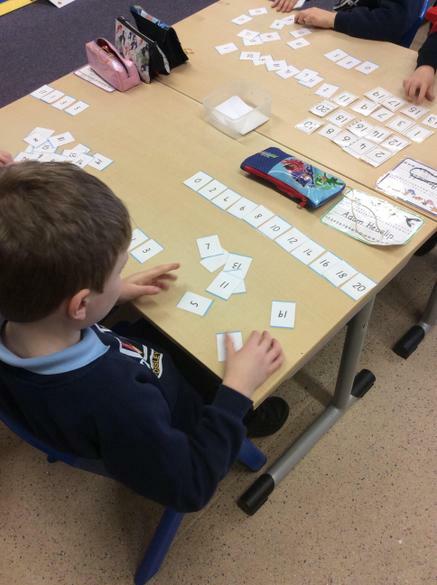 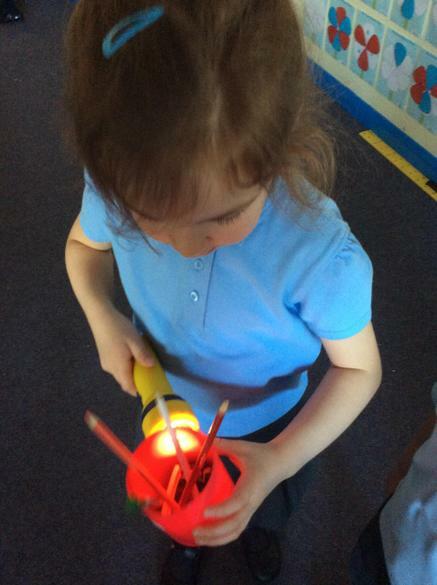 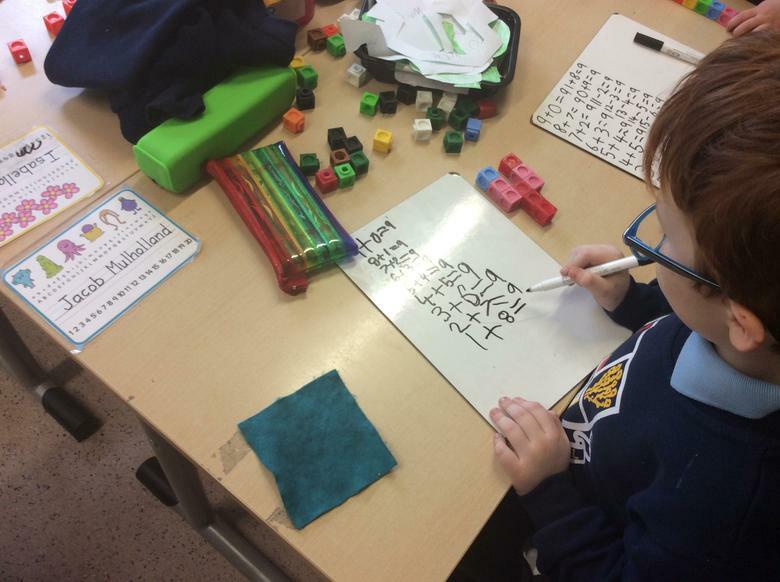 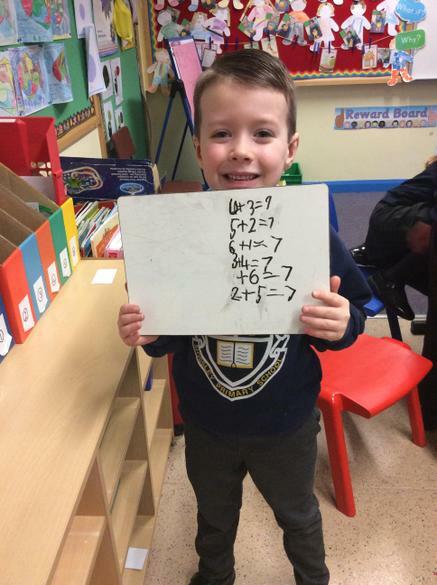 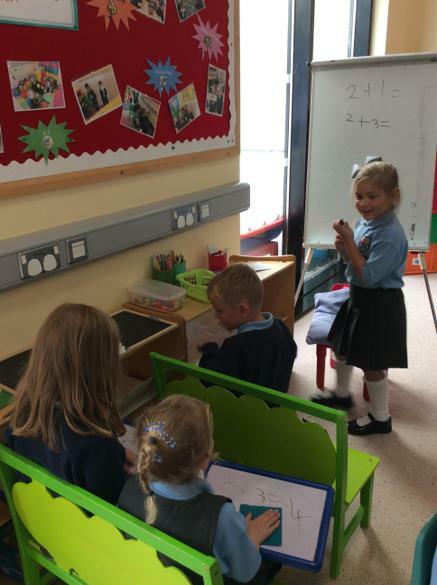 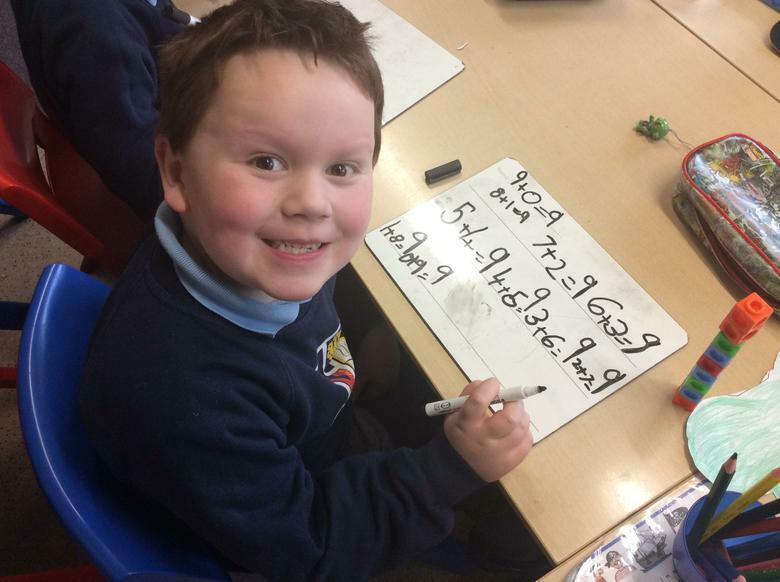 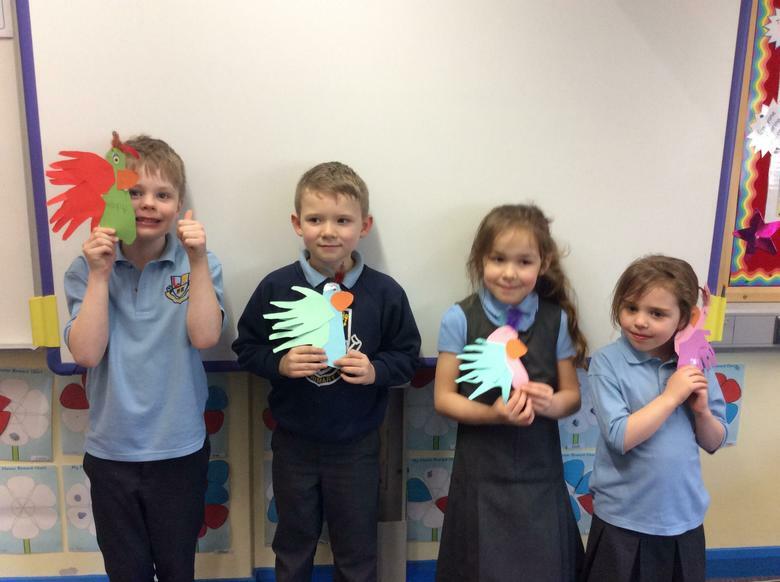 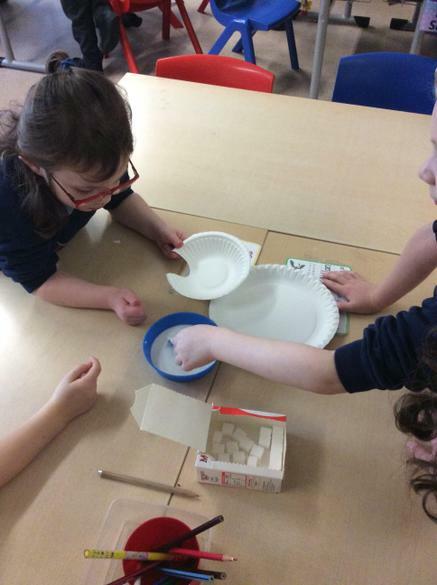 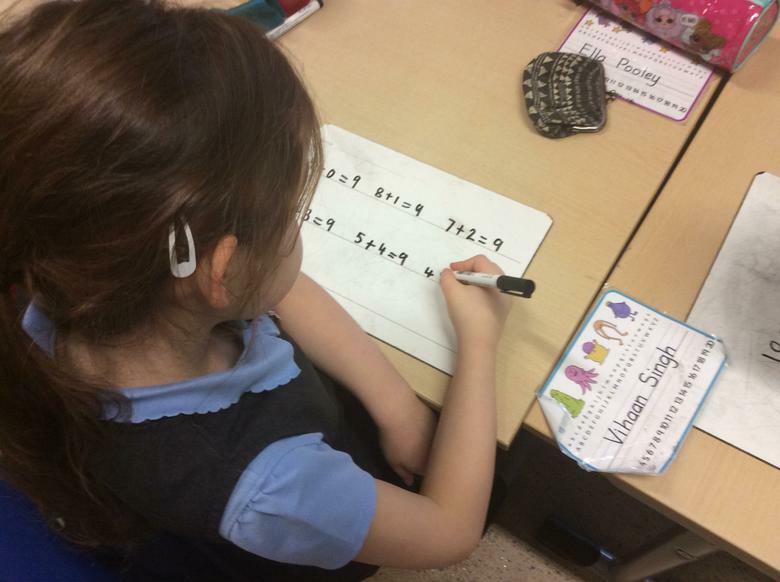 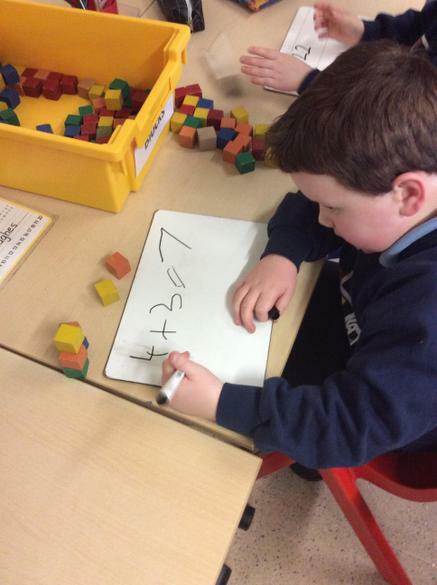 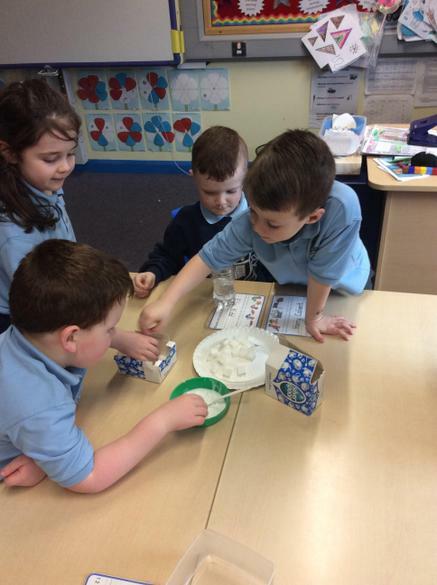 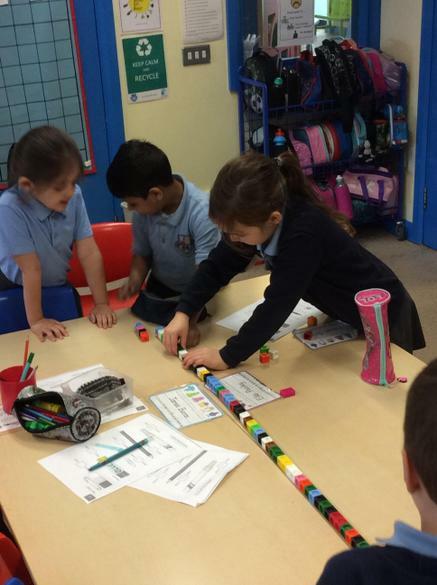 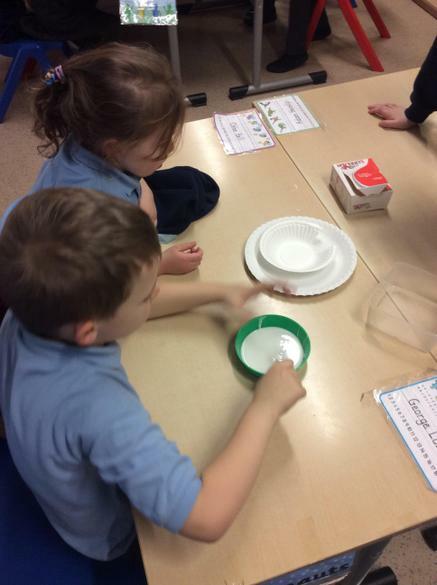 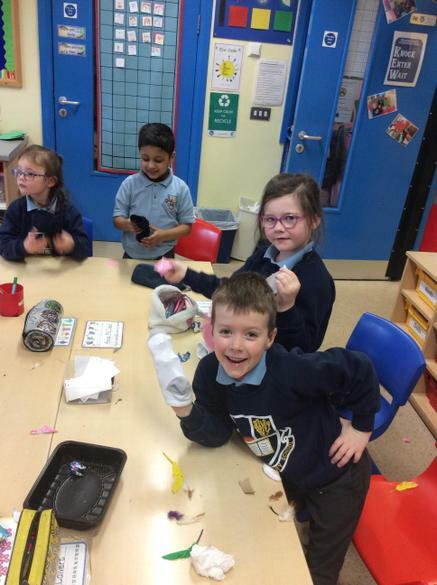 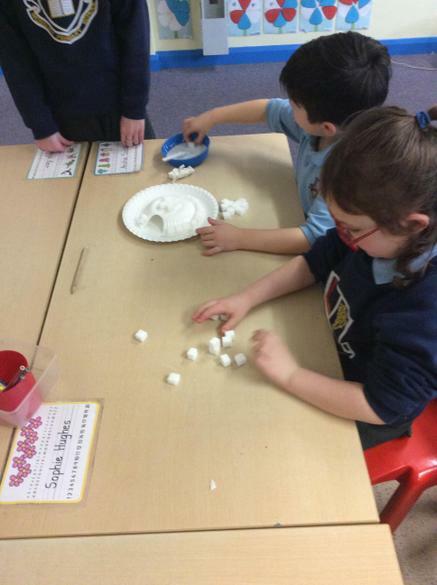 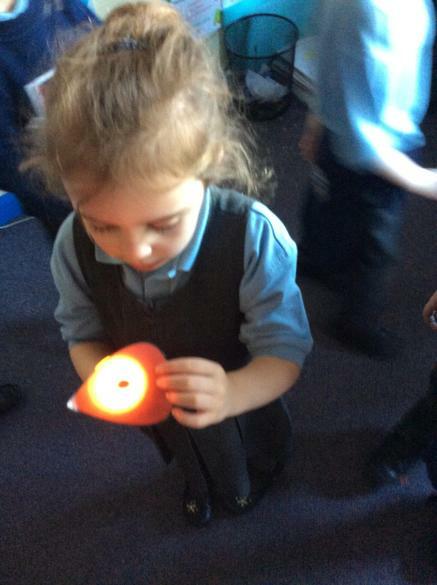 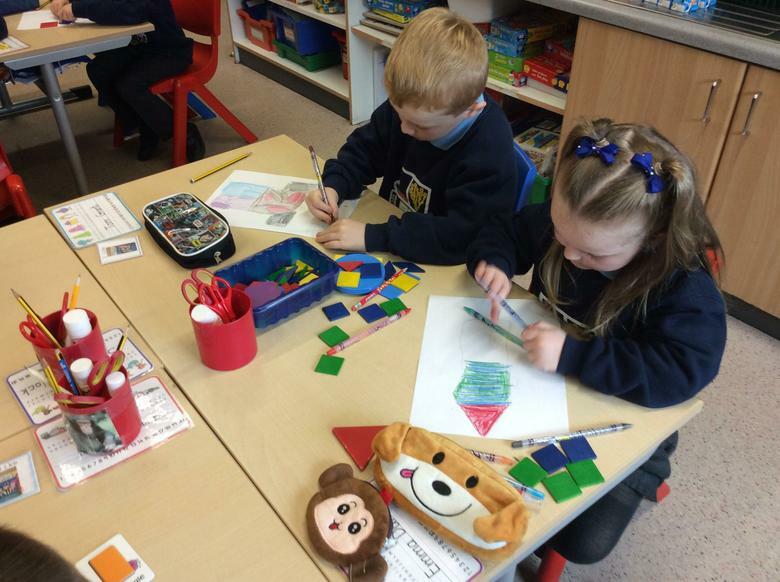 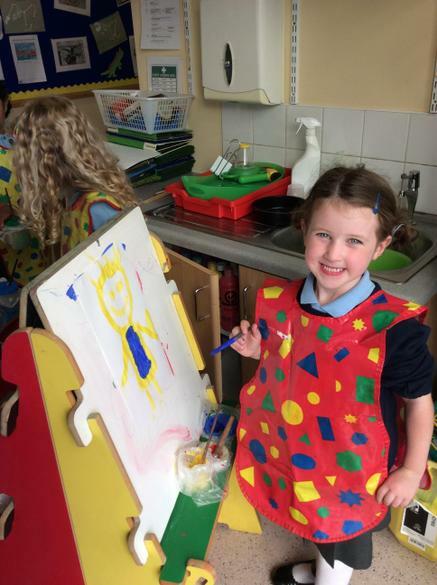 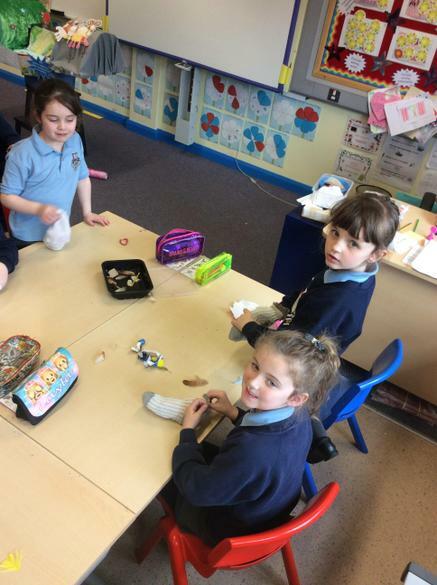 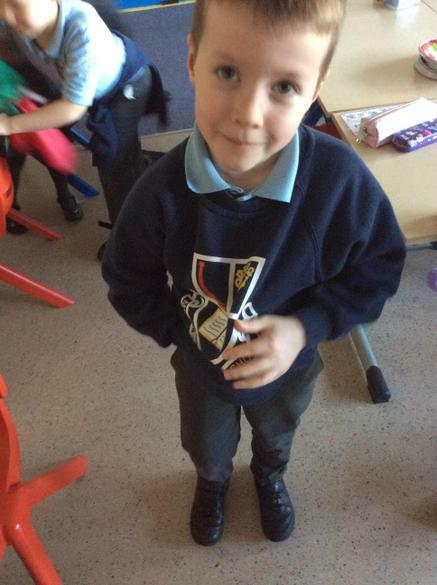 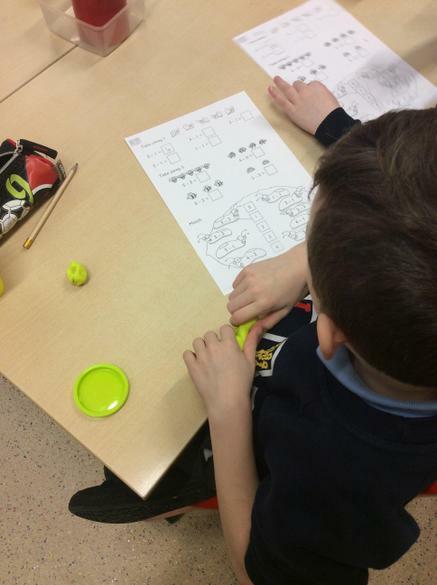 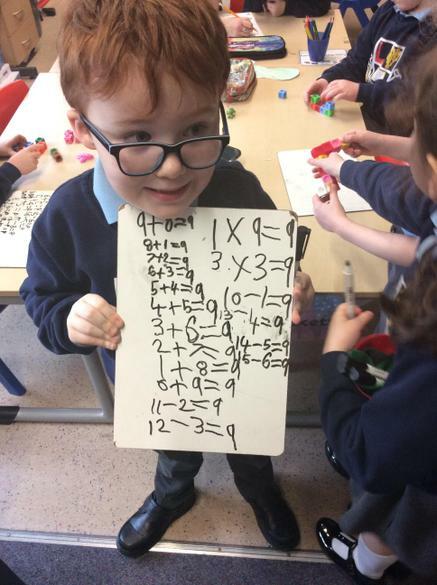 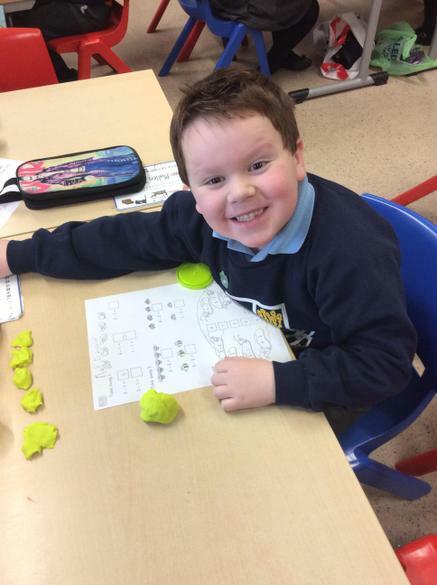 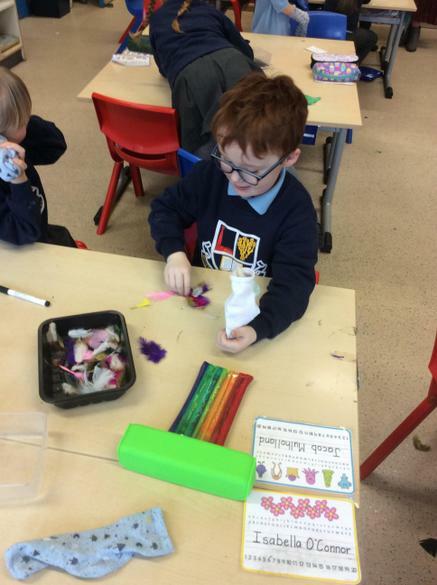 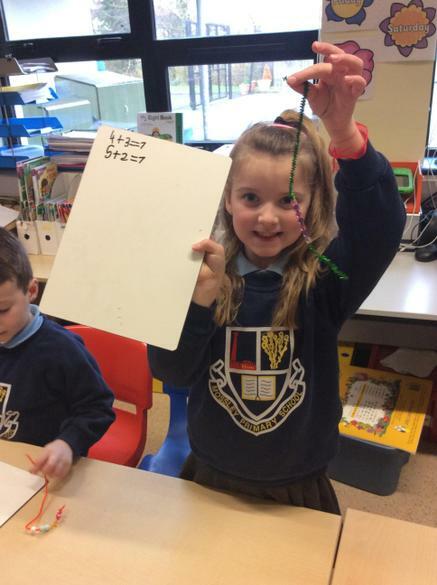 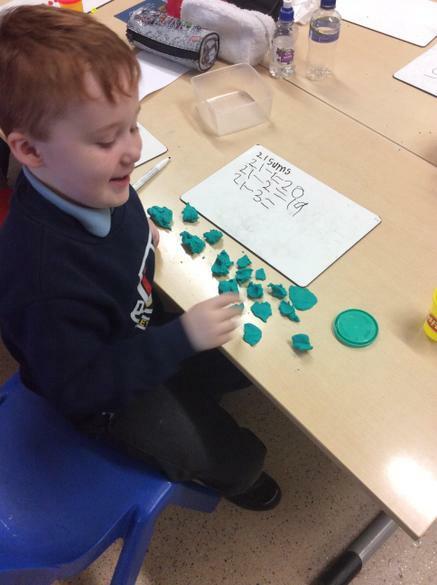 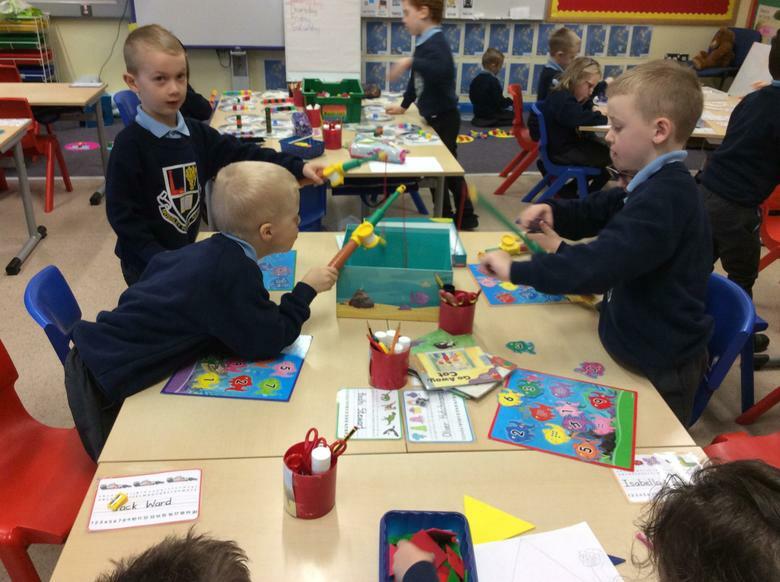 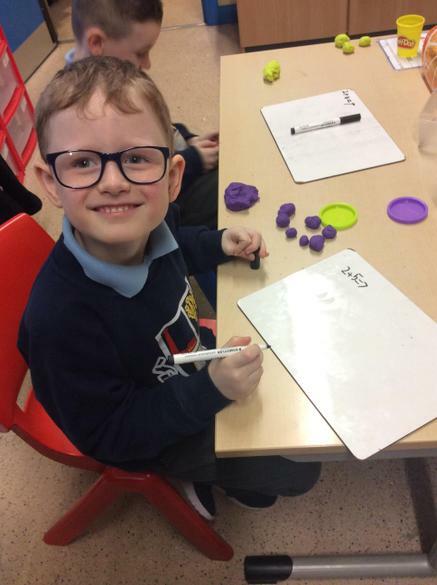 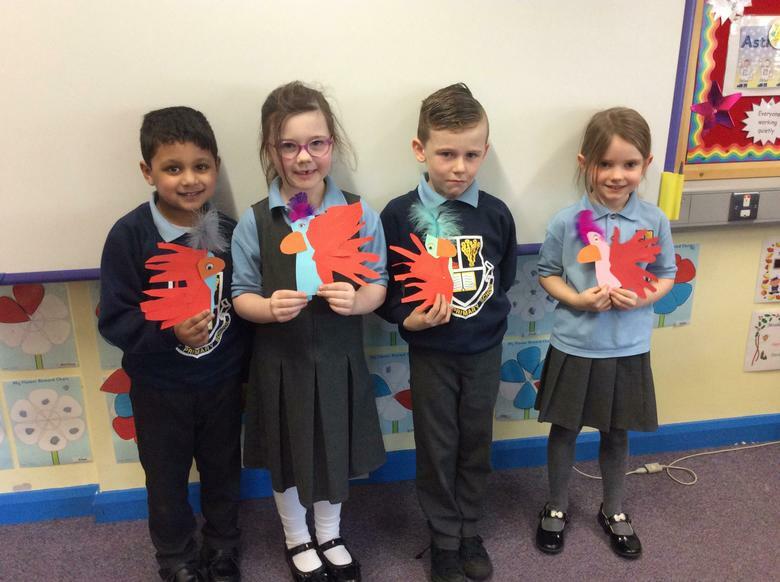 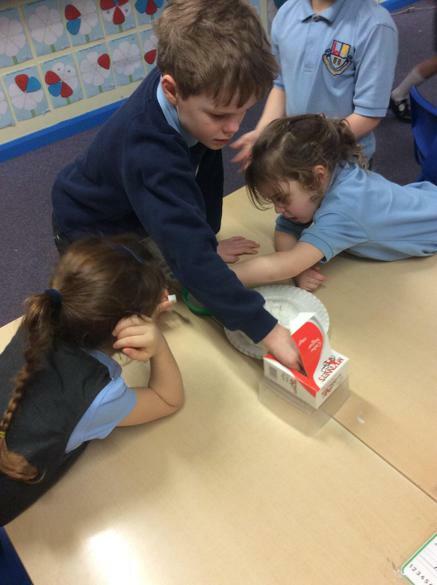 P2 R6 practising their skills in adding - great job! 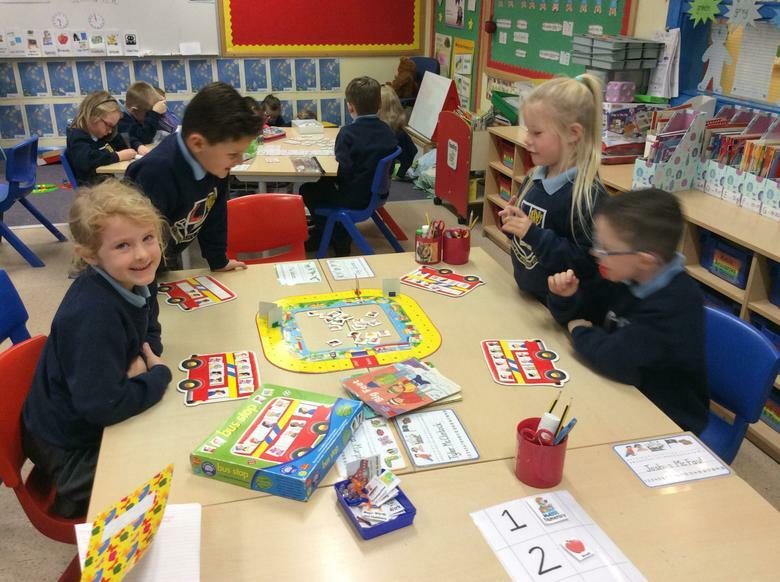 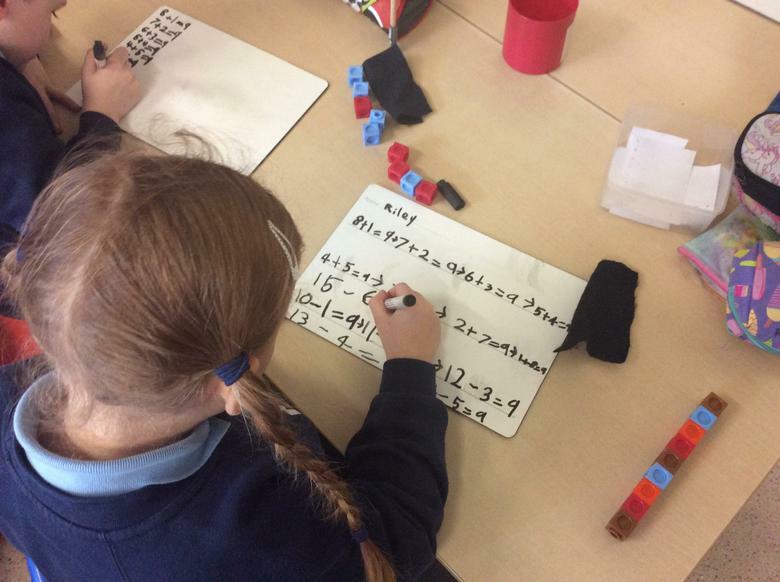 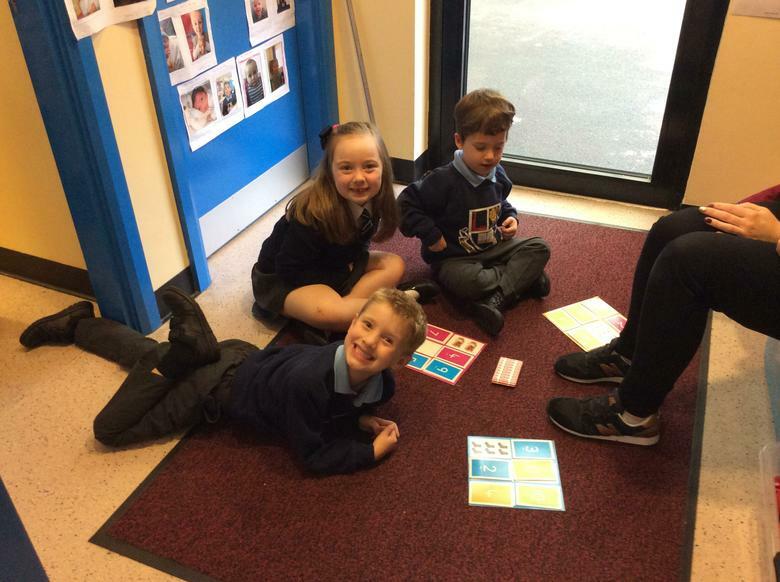 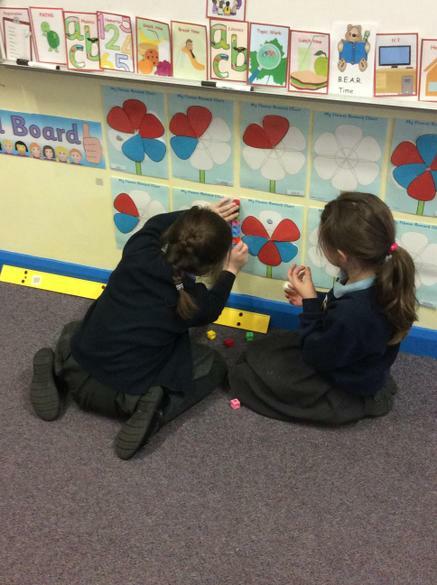 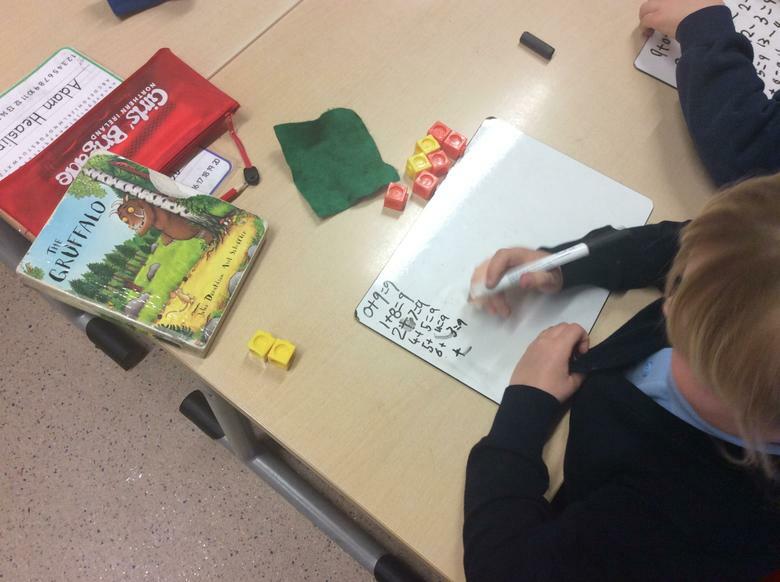 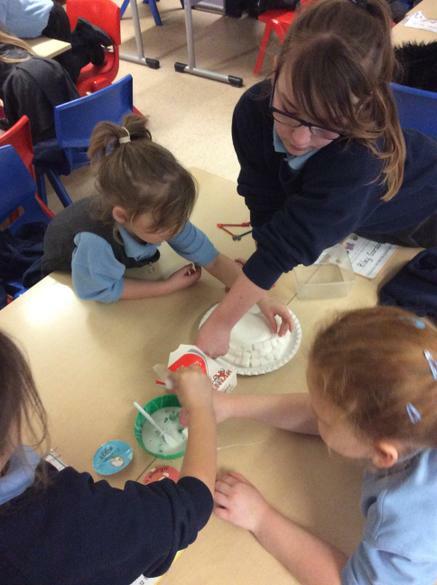 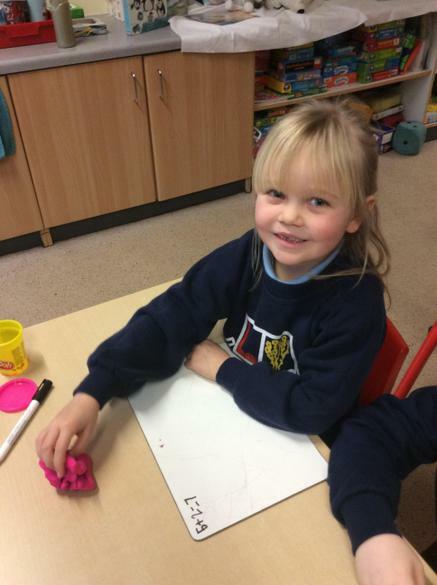 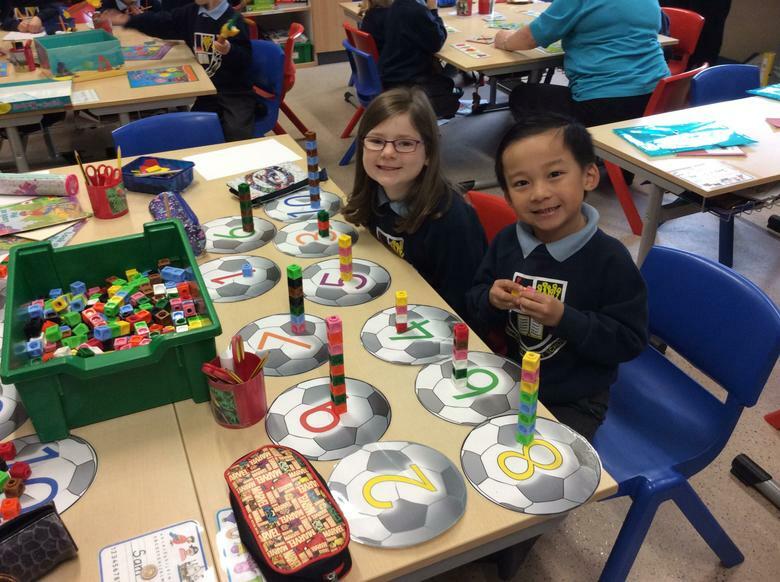 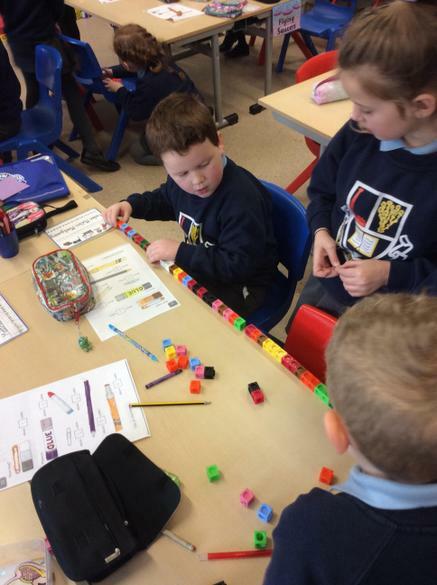 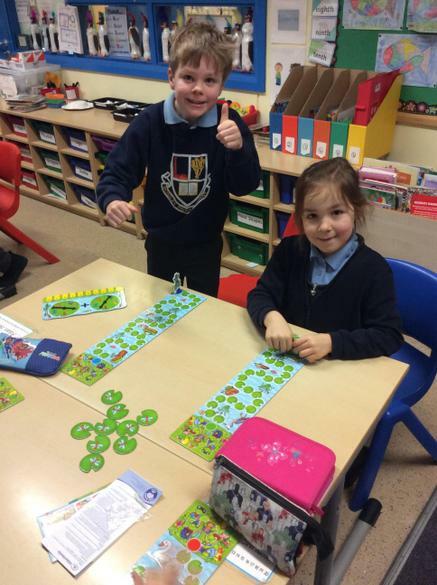 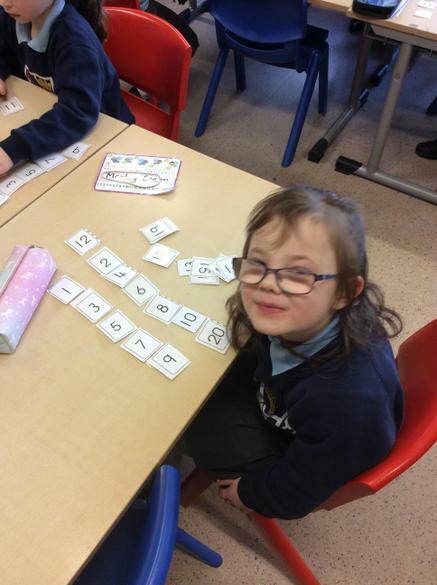 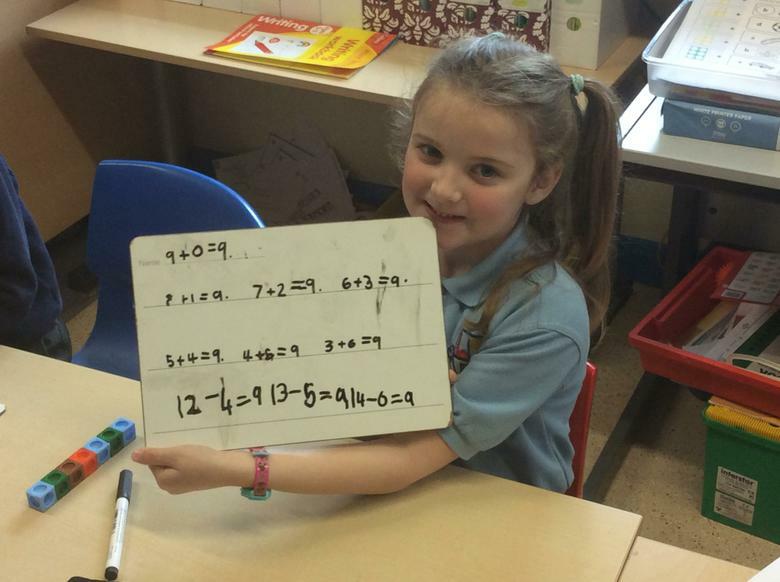 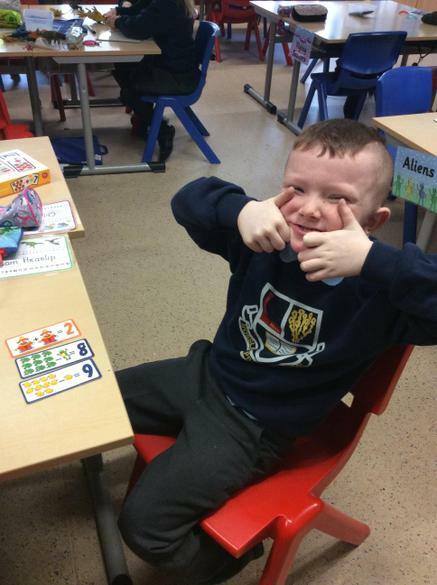 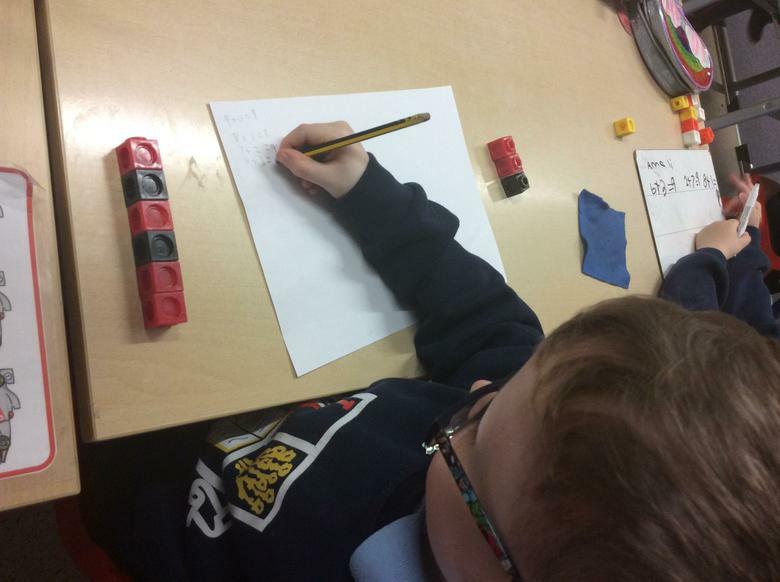 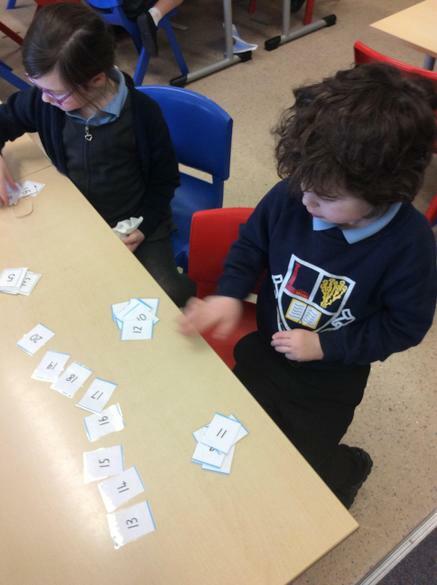 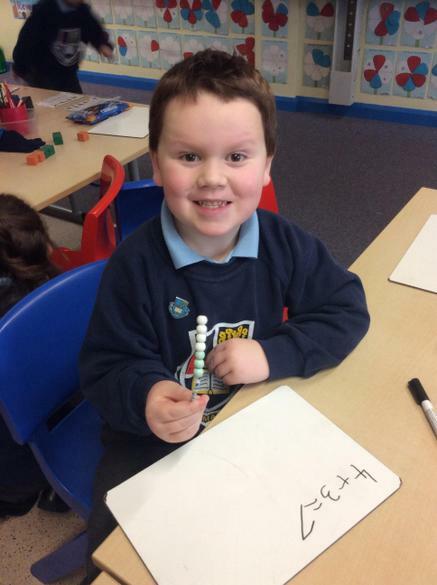 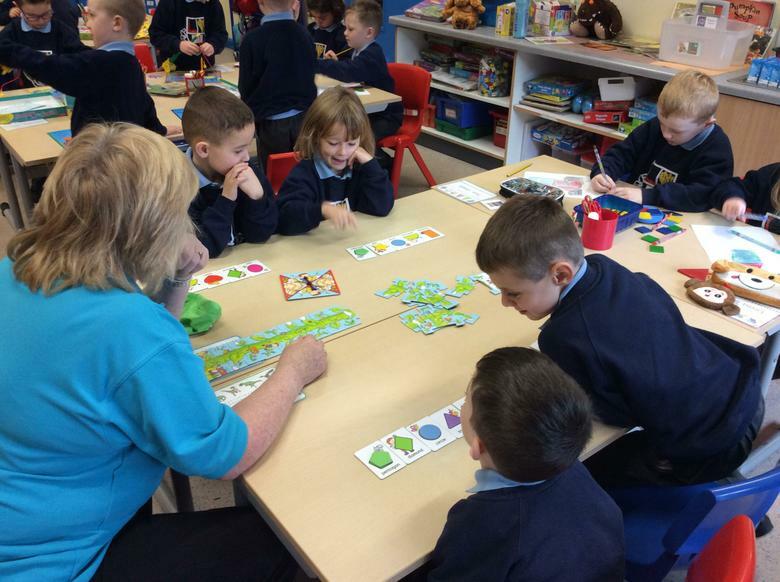 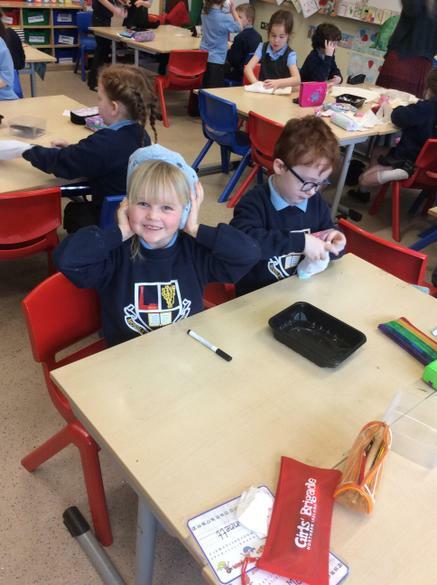 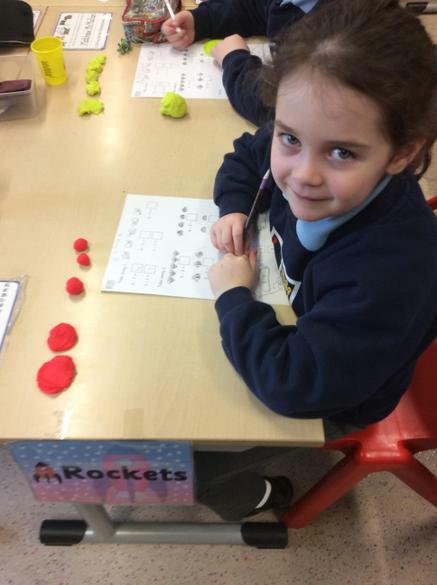 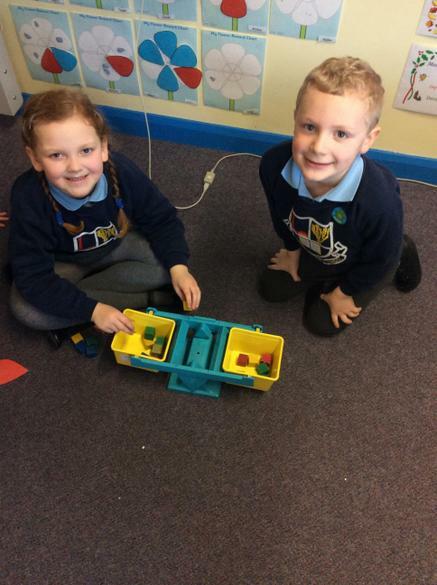 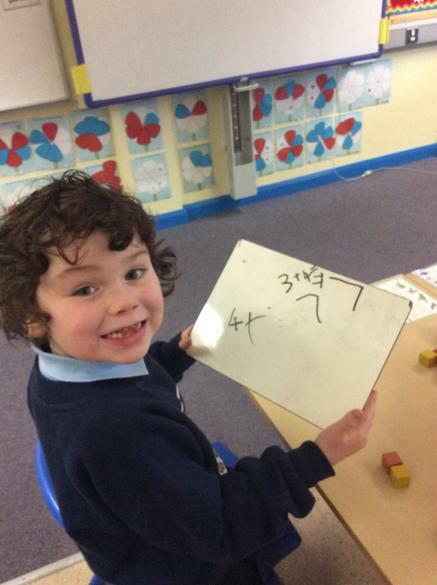 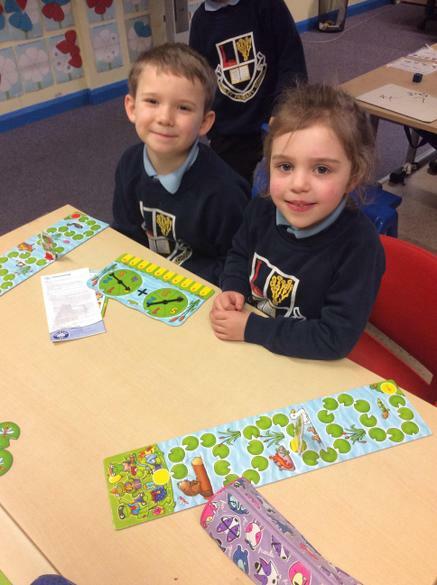 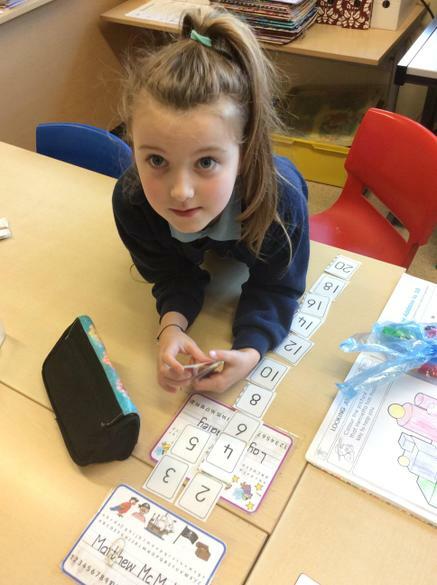 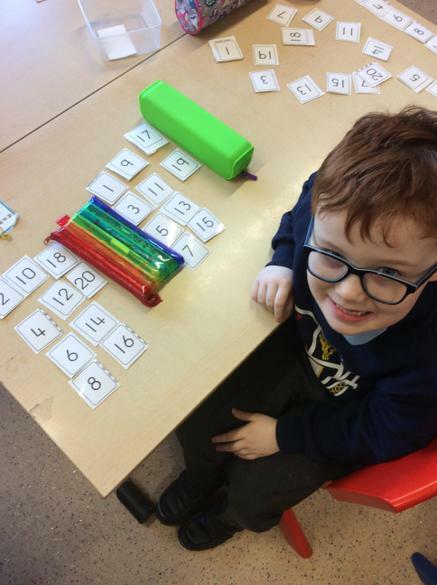 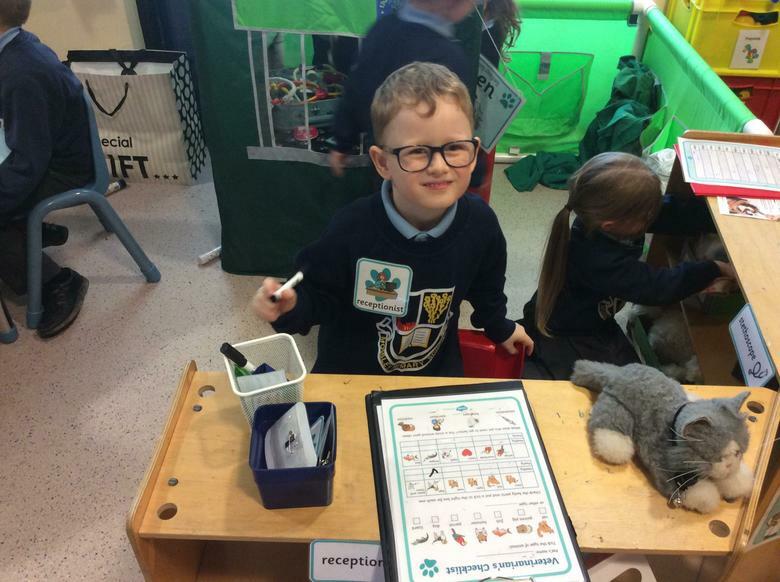 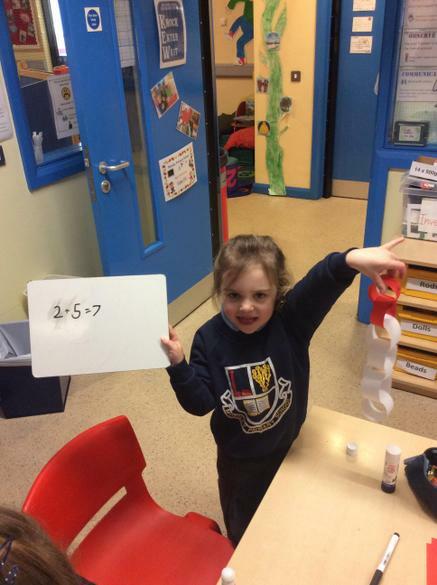 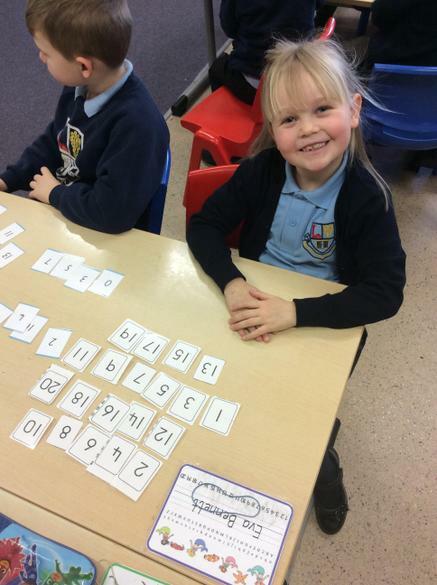 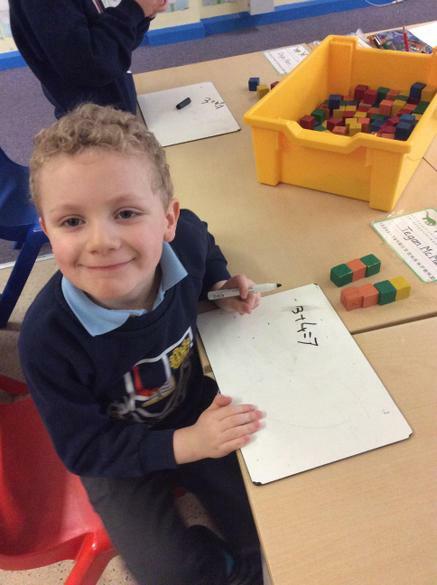 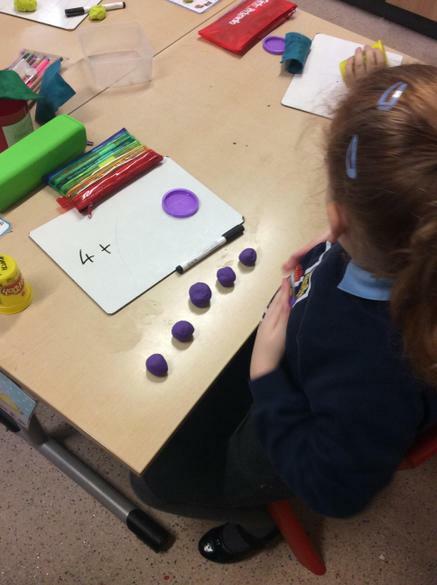 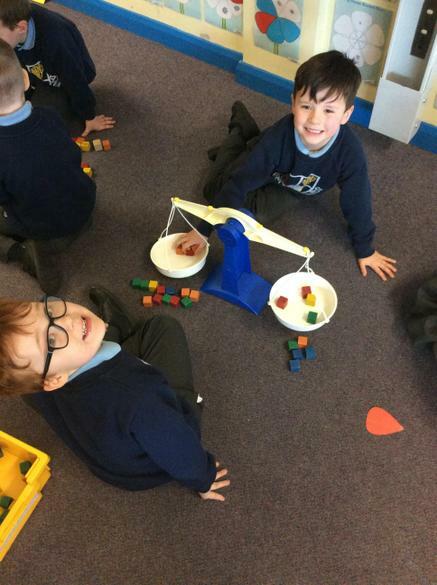 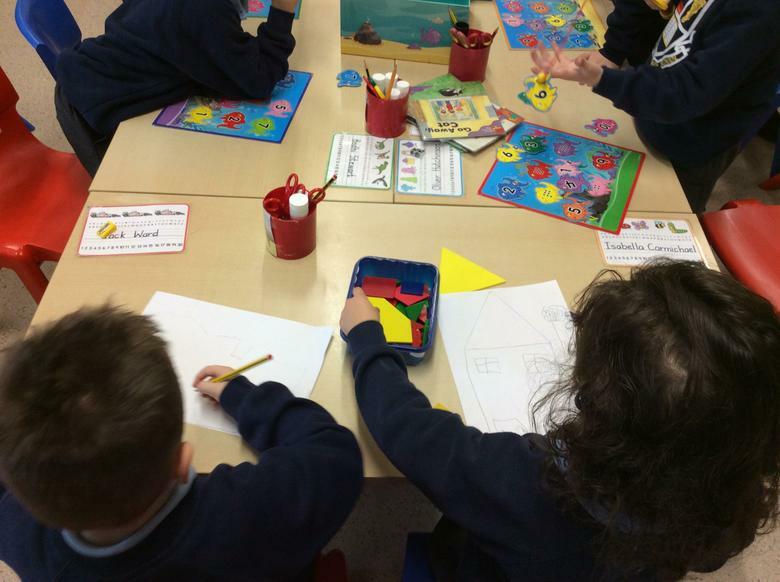 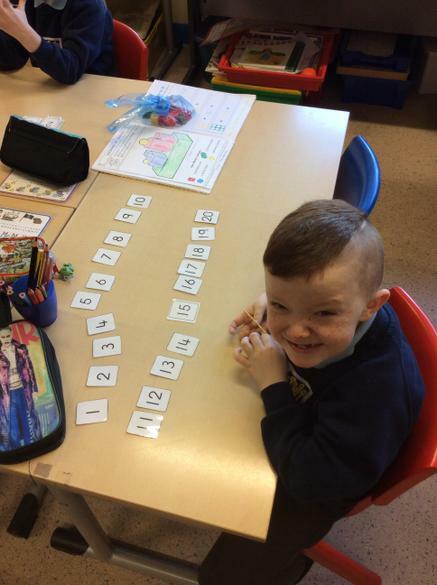 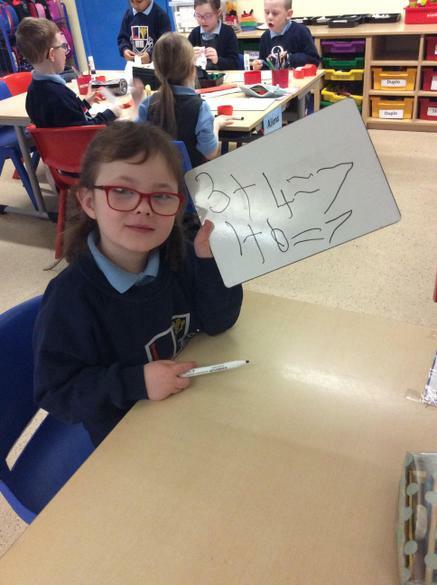 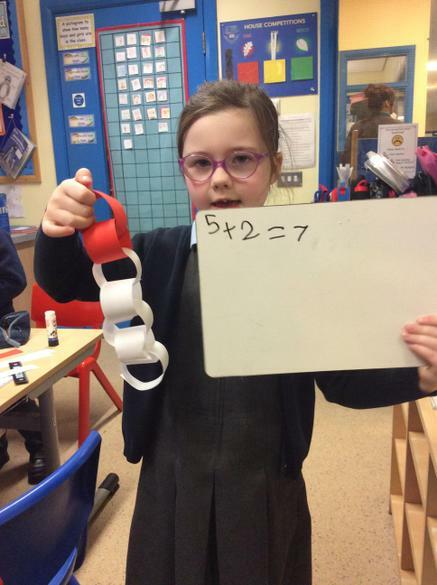 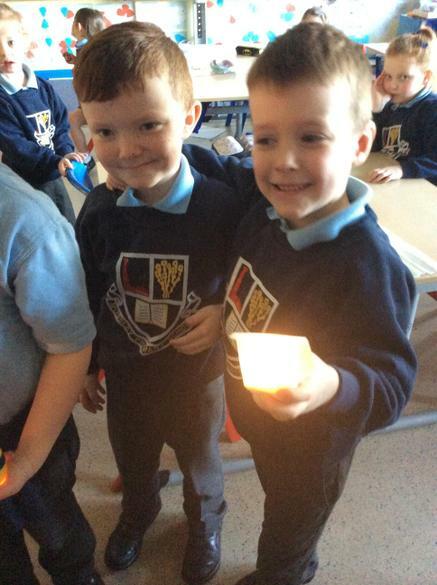 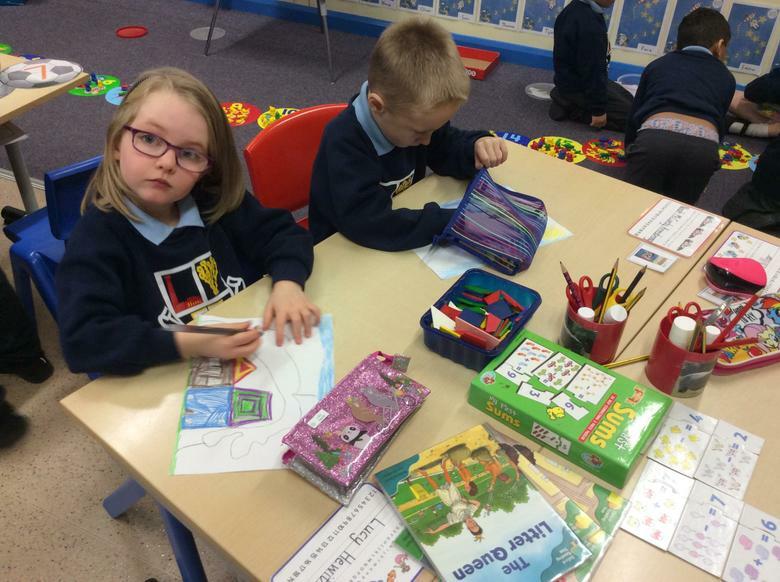 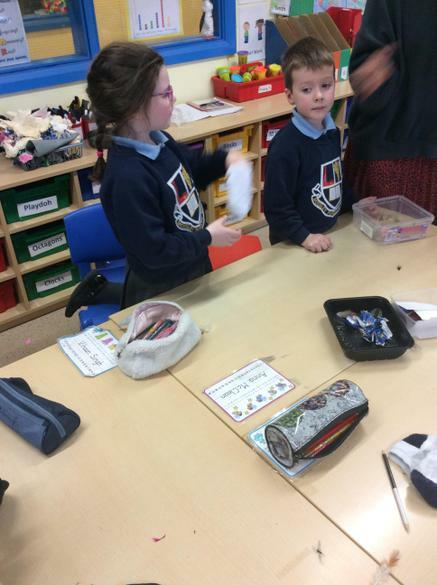 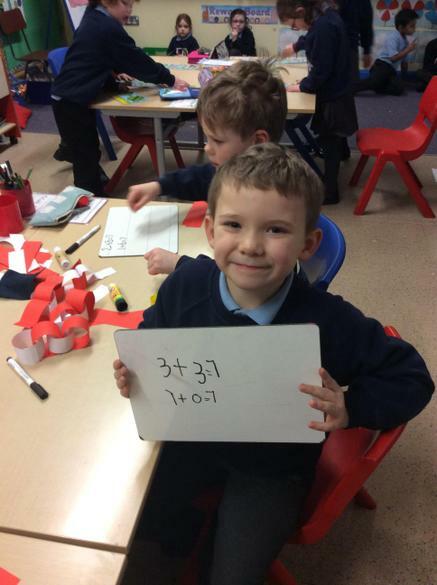 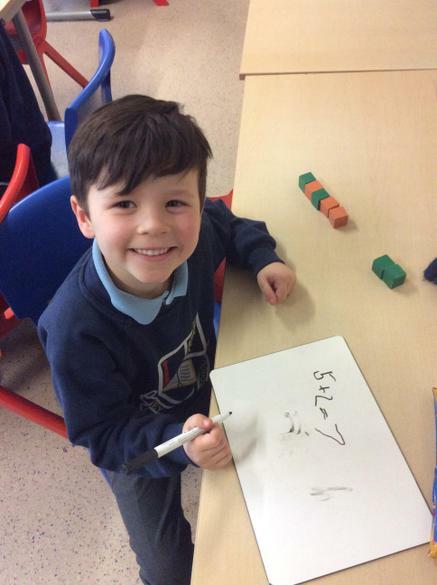 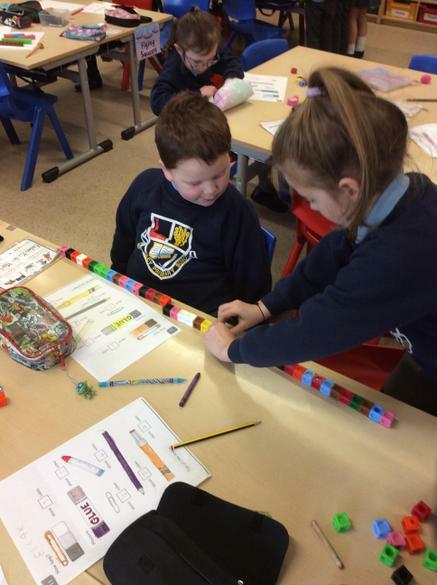 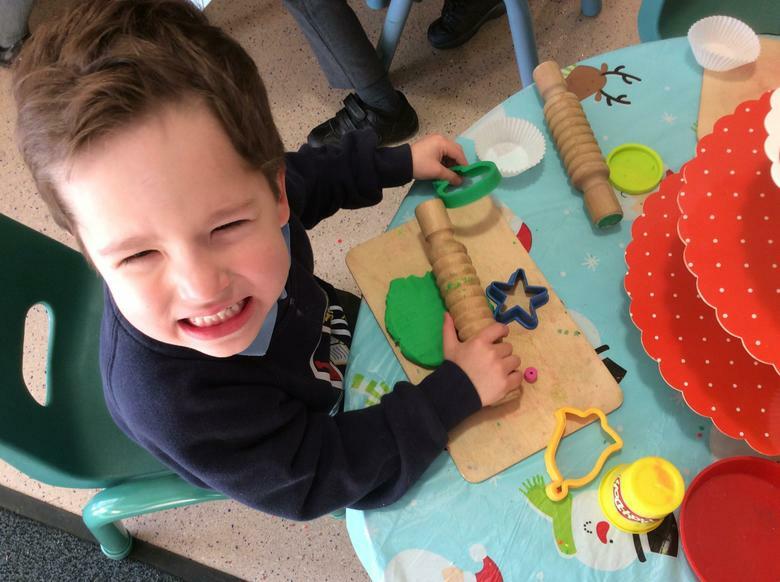 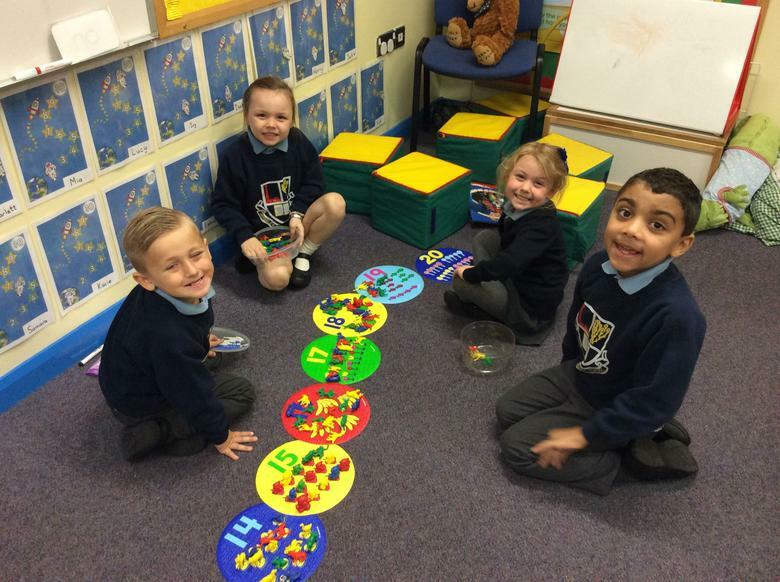 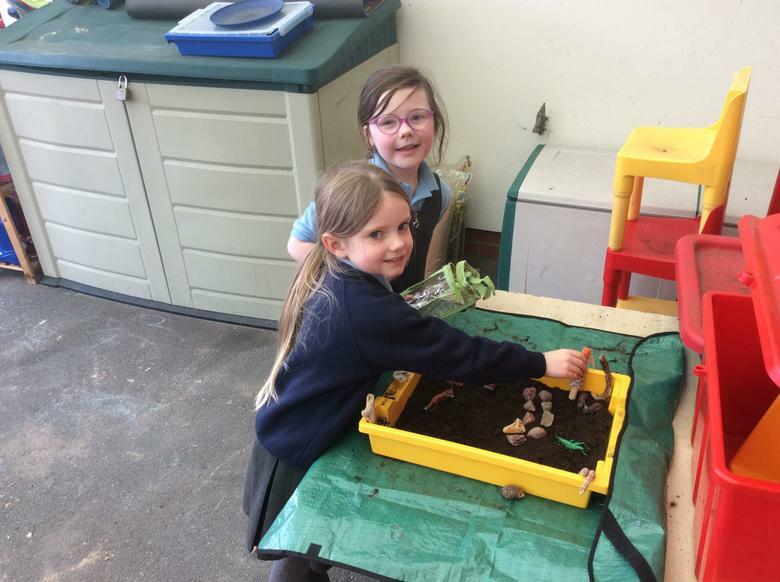 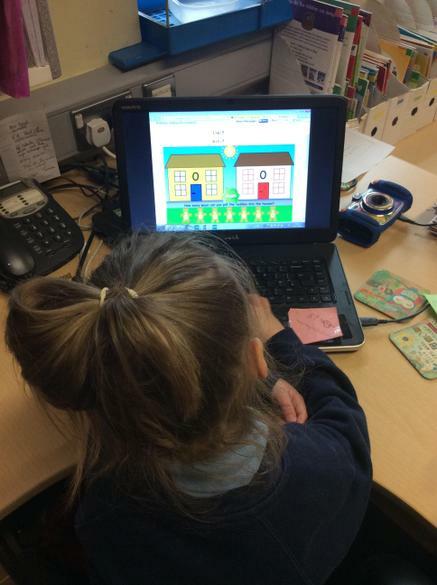 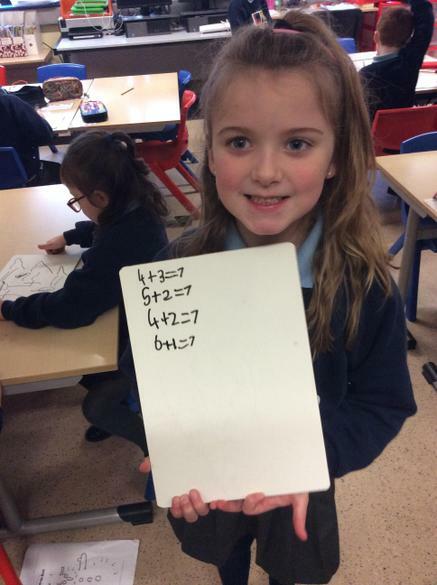 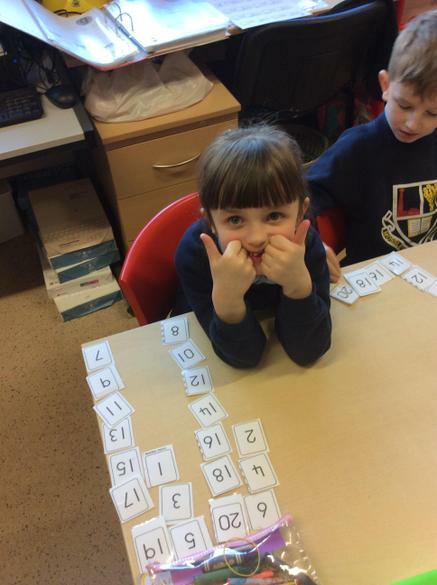 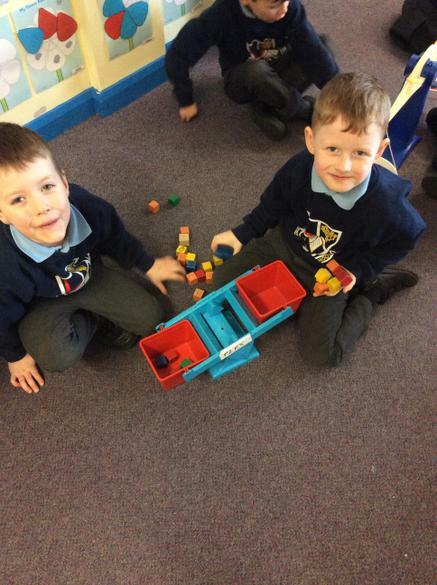 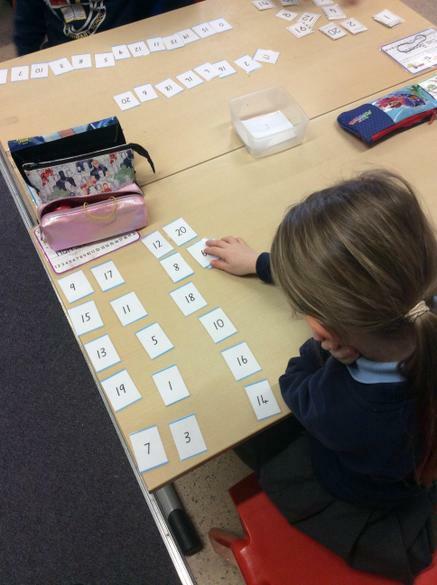 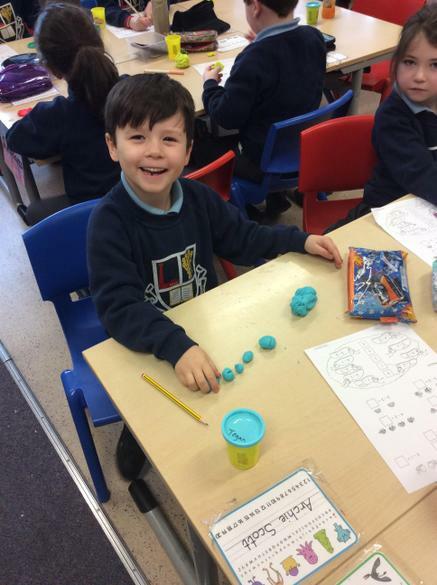 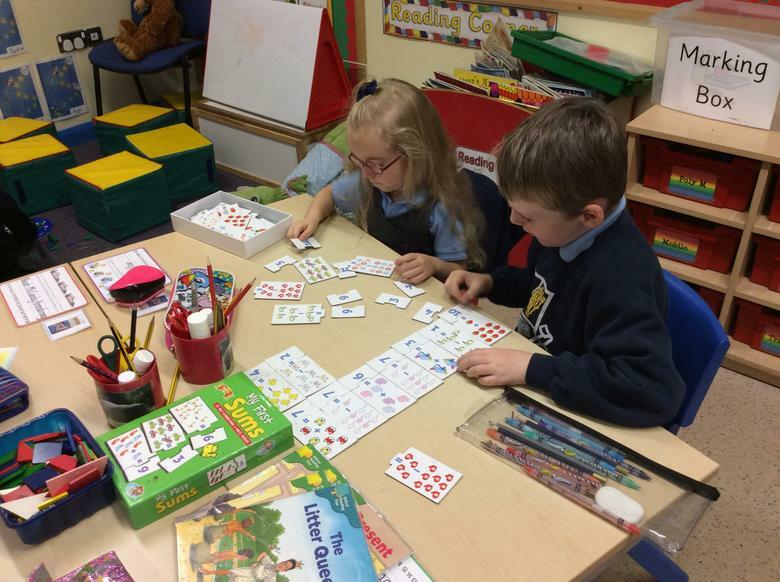 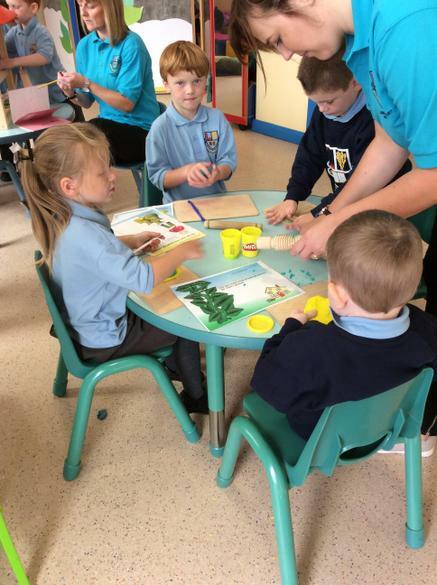 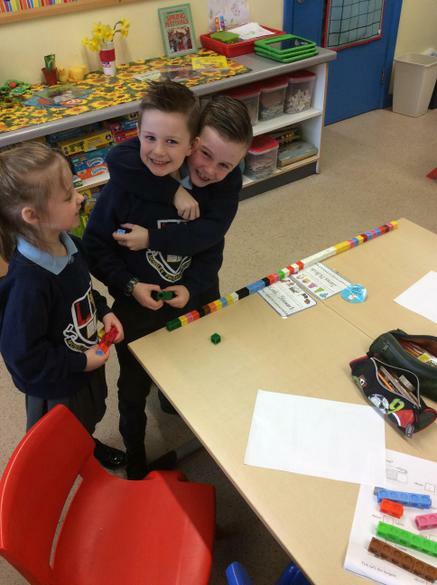 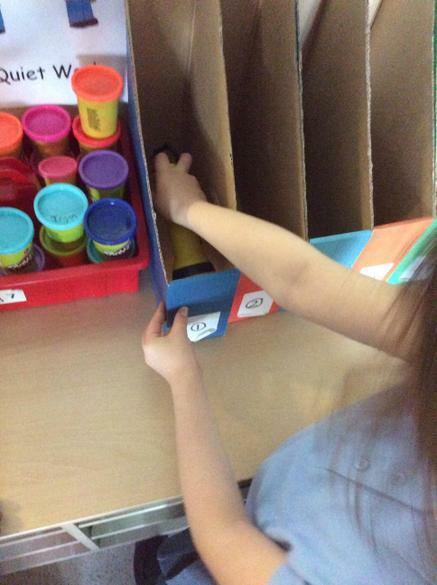 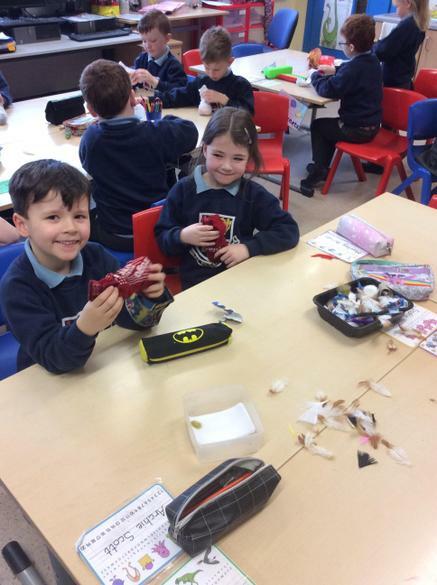 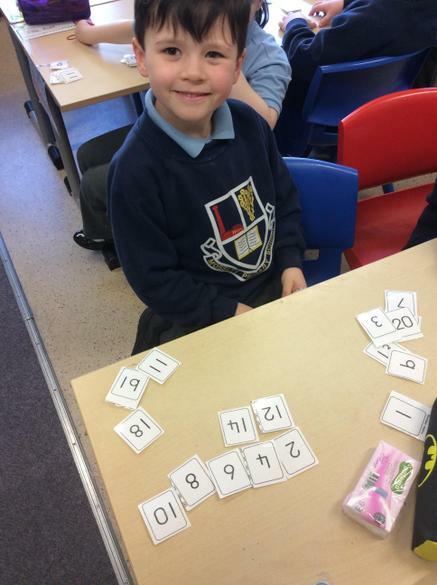 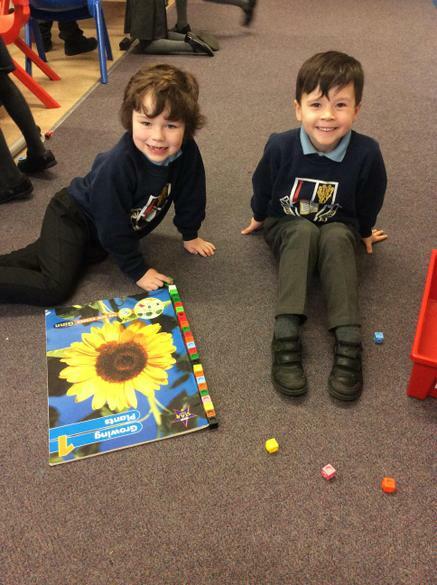 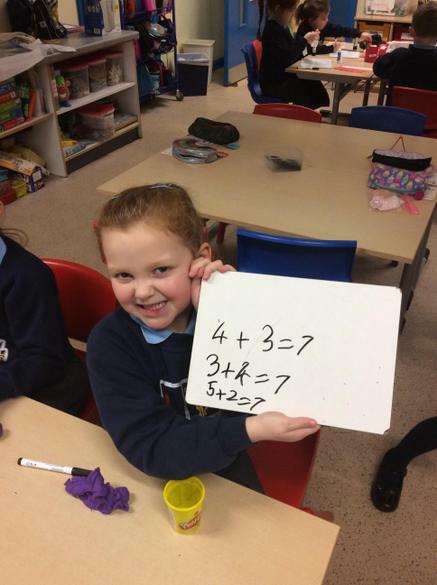 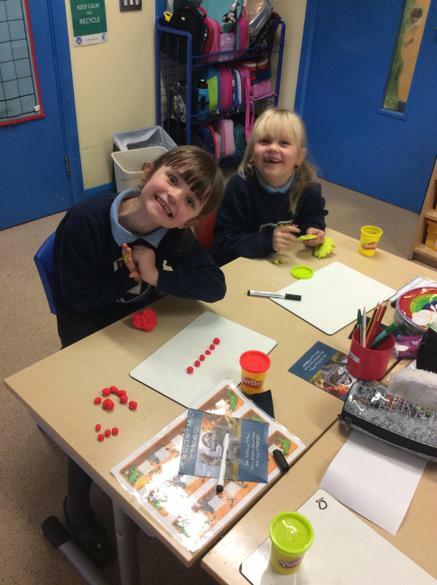 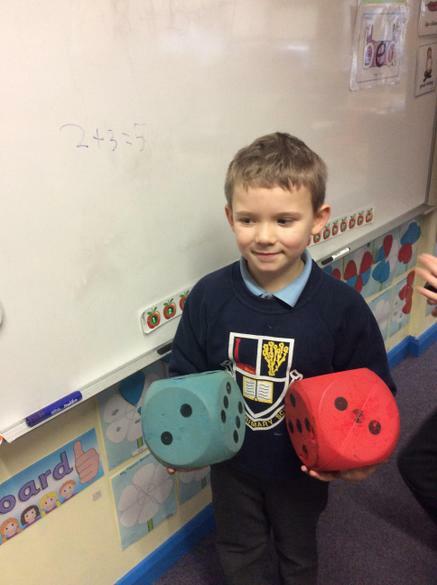 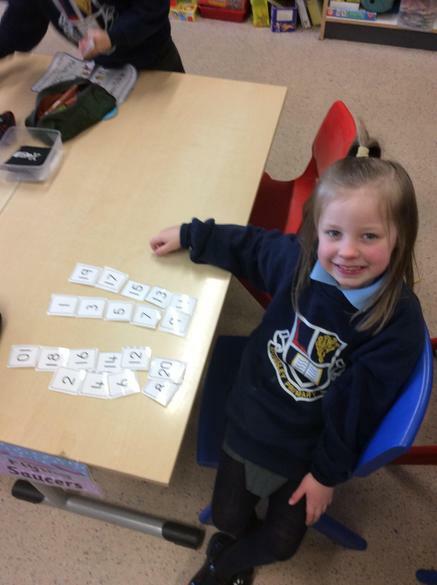 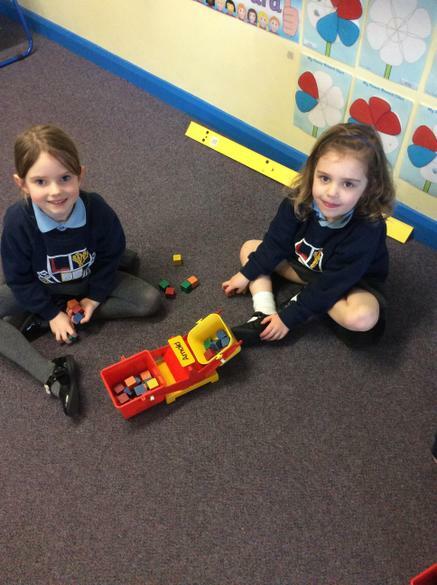 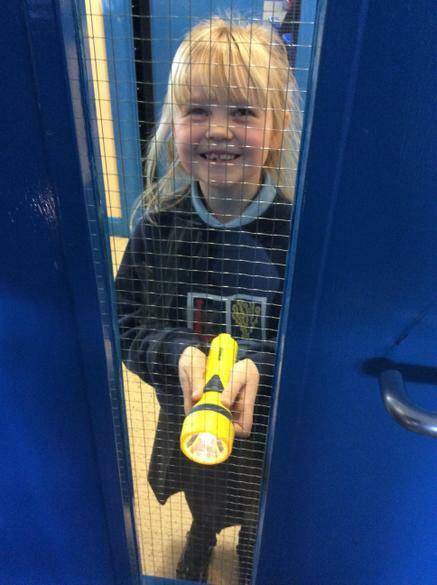 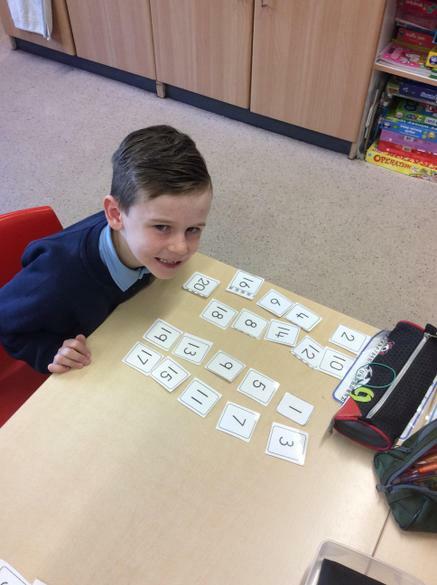 Number Activities - The children love learning through practical Maths activities! 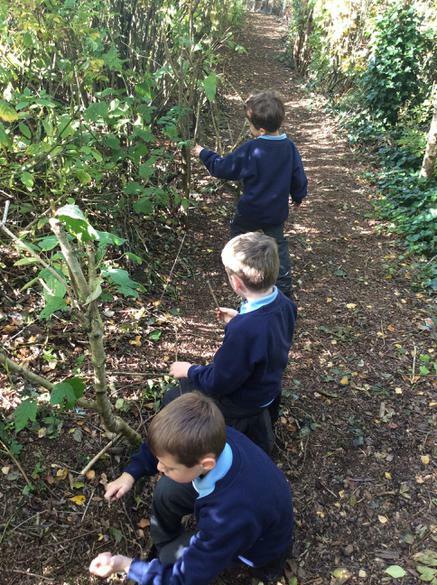 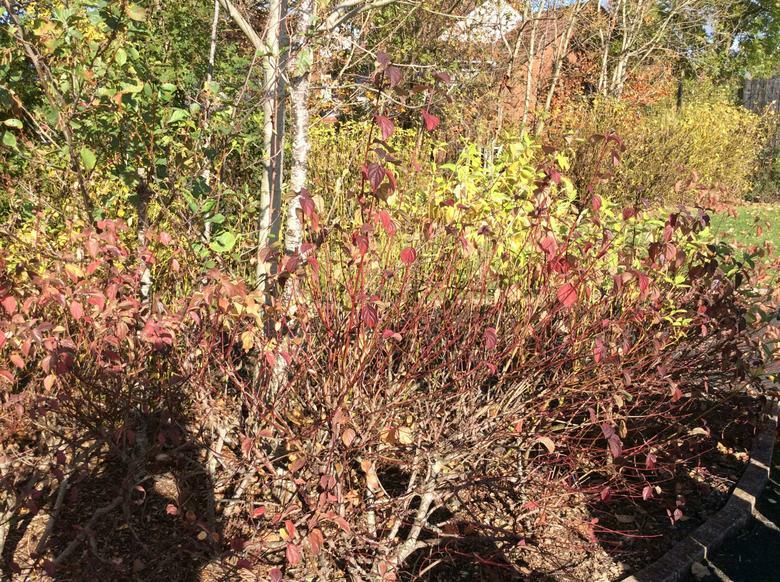 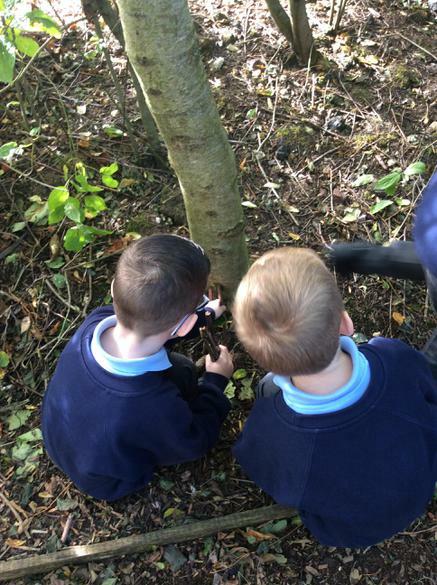 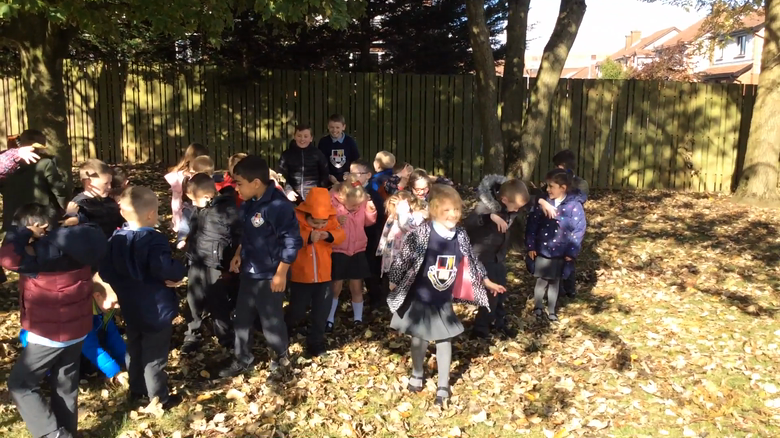 Autumn Walk - Some of the children took some great photos on our Autumn walk. 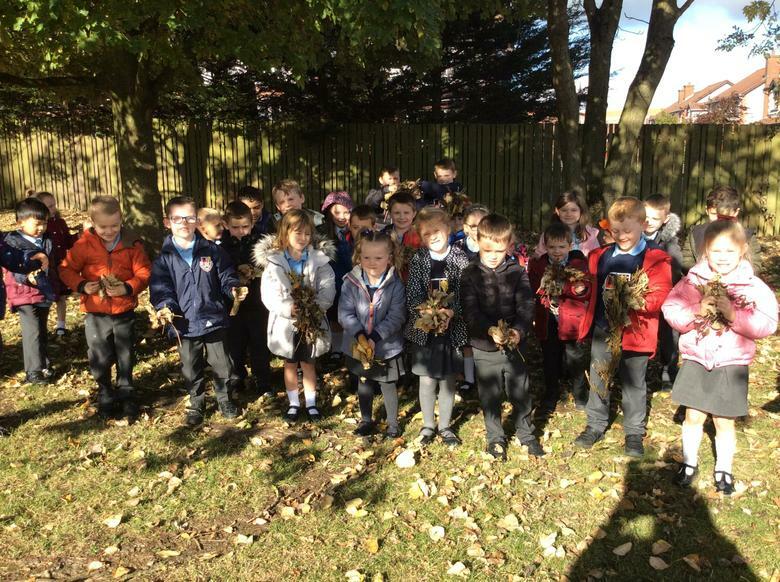 It was a beautiful, fresh afternoon and we collected lots of leaves, conkers and pine cones. 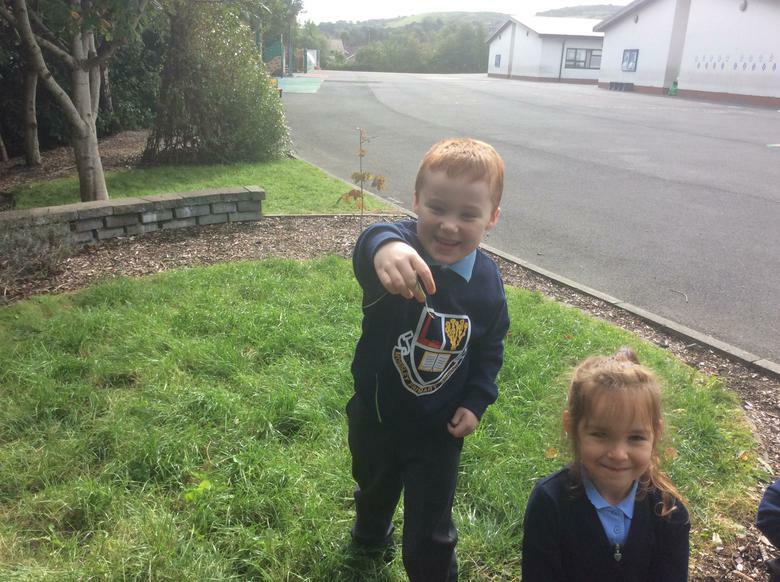 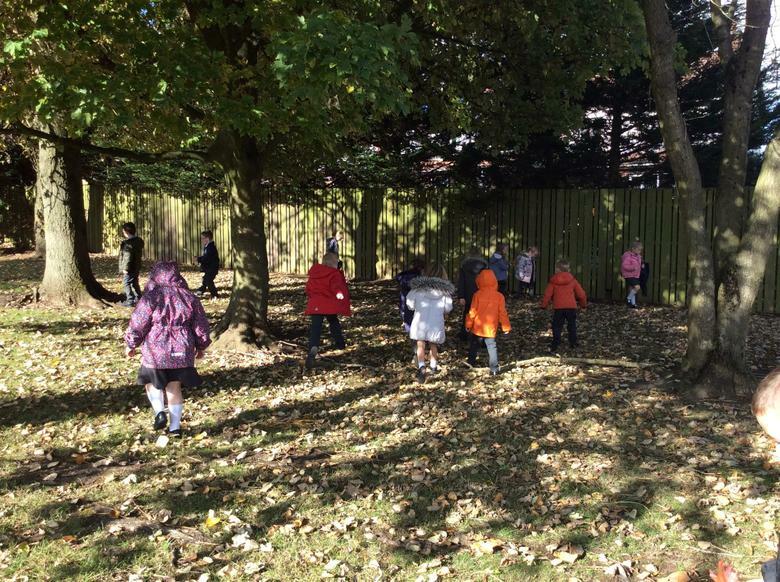 Out on an Autumn walk, the children loved spotting the signs of Autumn and a highlight was playing in the colourful leaves! 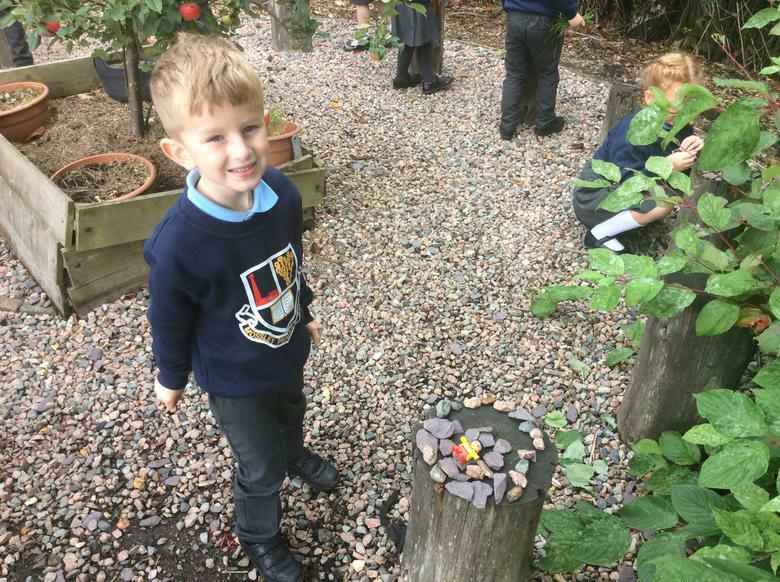 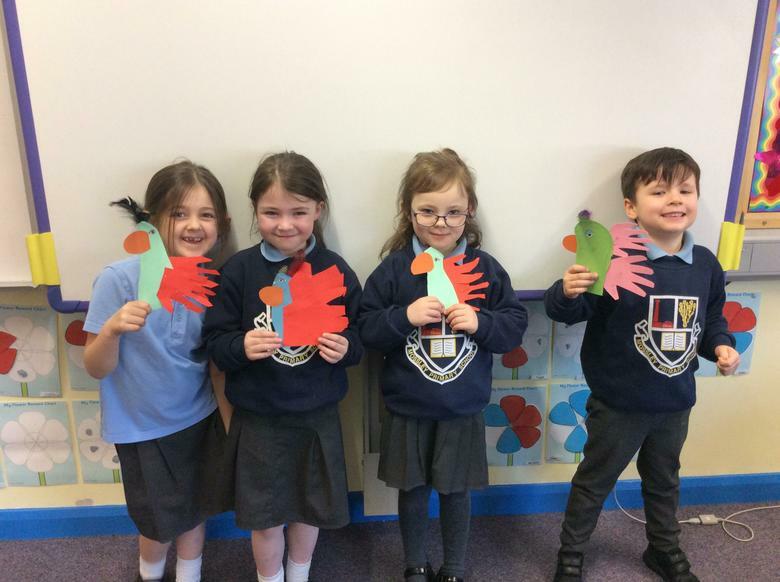 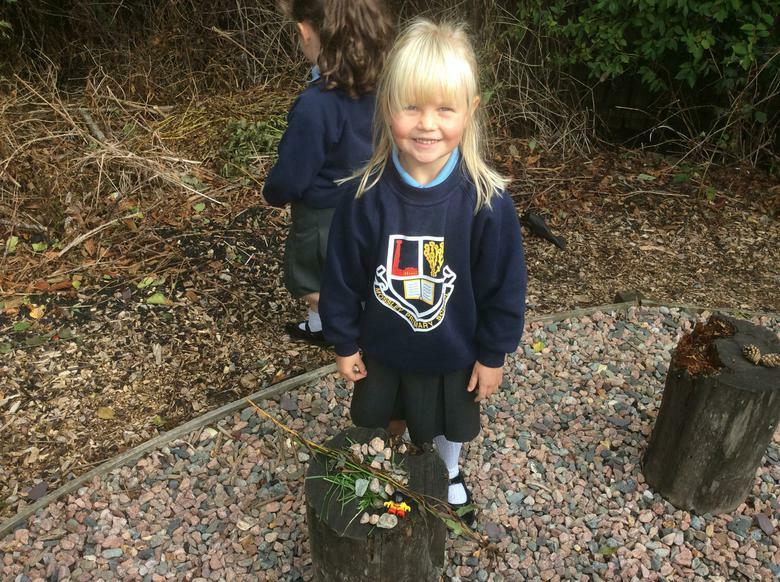 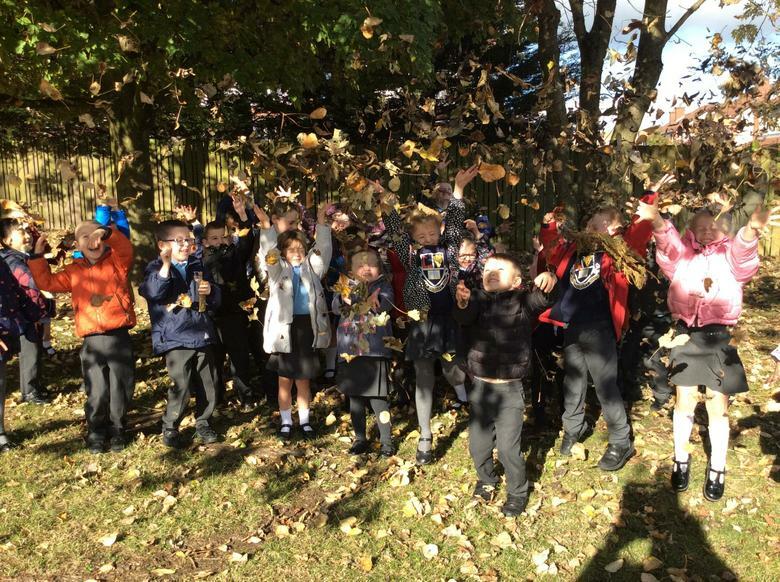 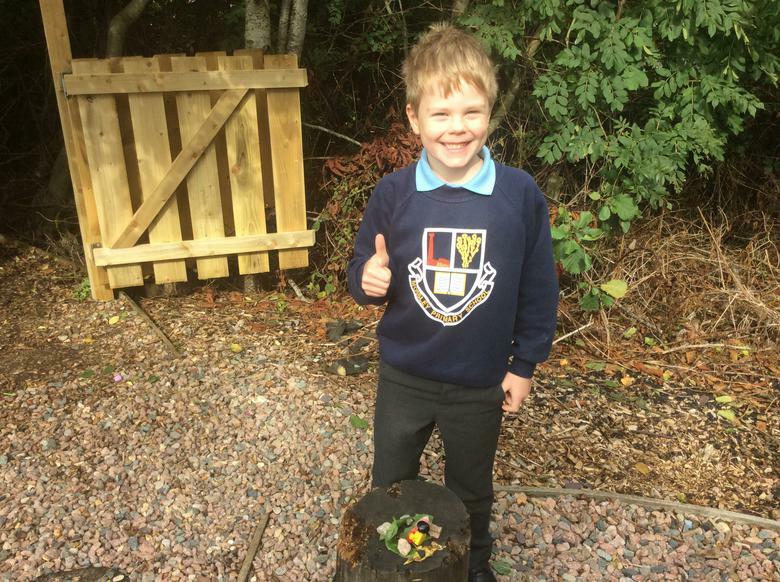 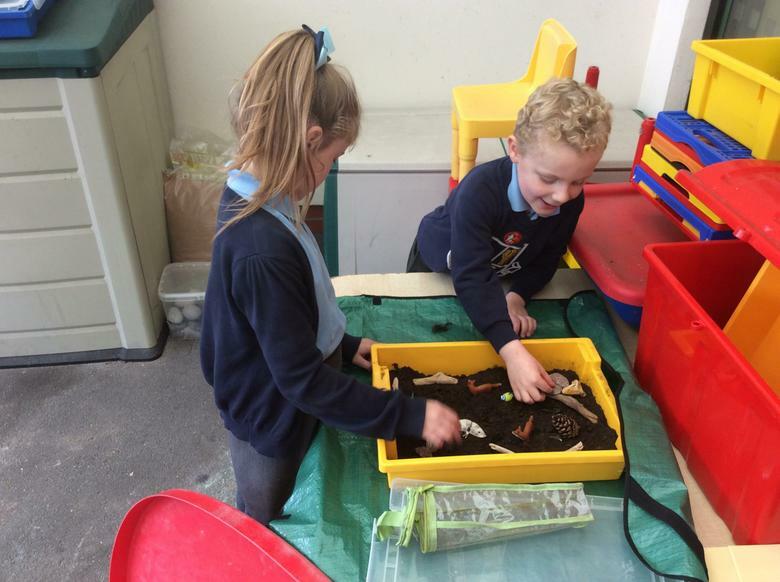 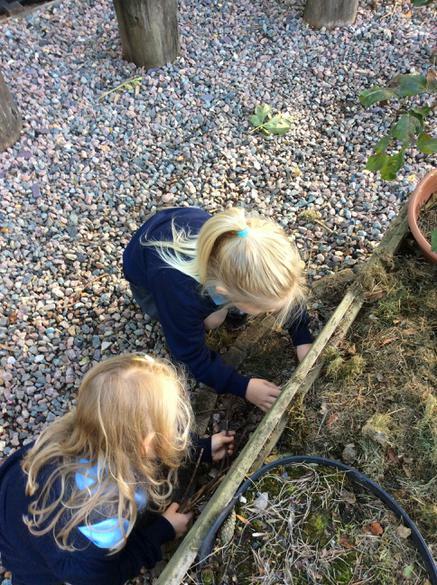 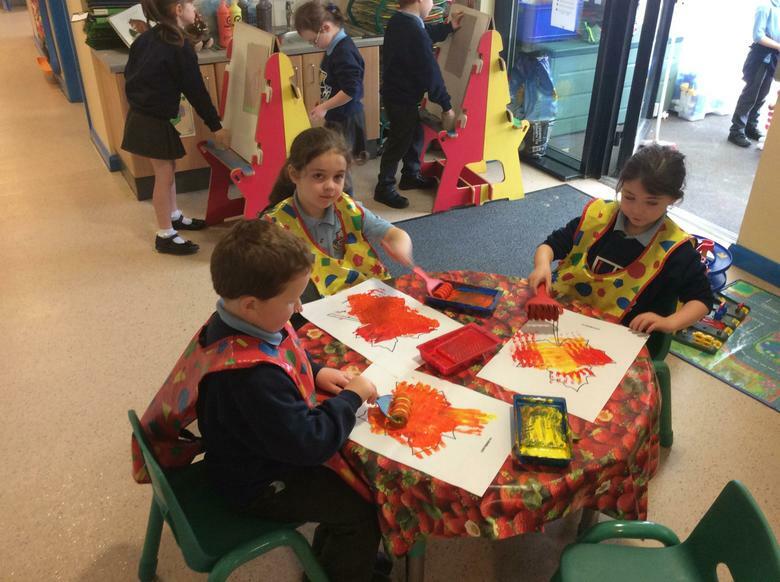 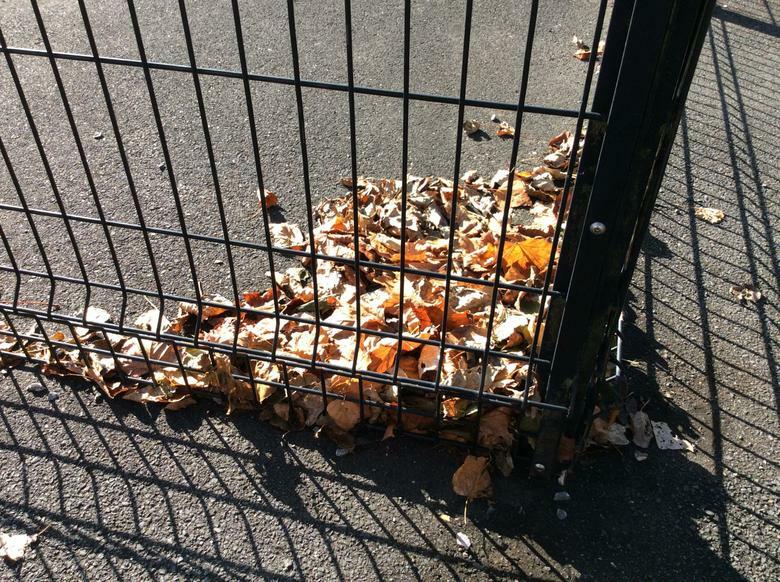 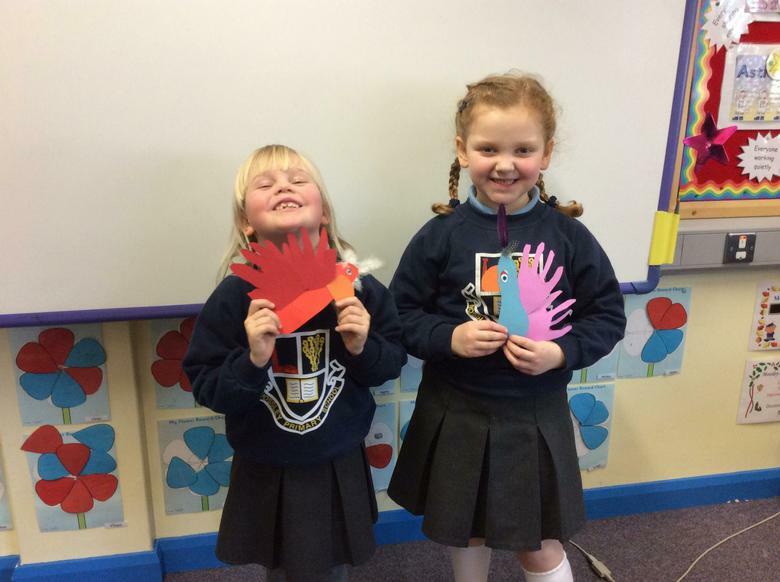 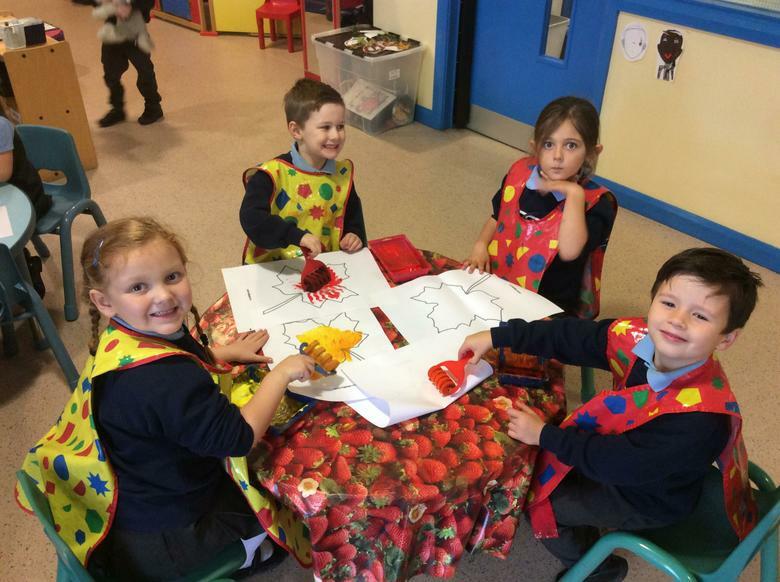 In October the children are learning all about Autumn. 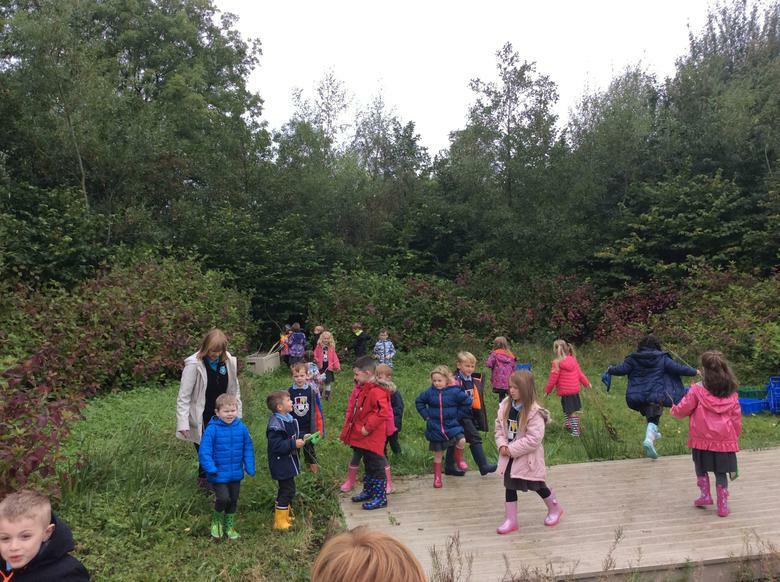 They will be reading lots of stories, doing lots of Arts and Crafts, going on an Autumn Trail and learning about being safe as the darker mornings and evenings have arrived! 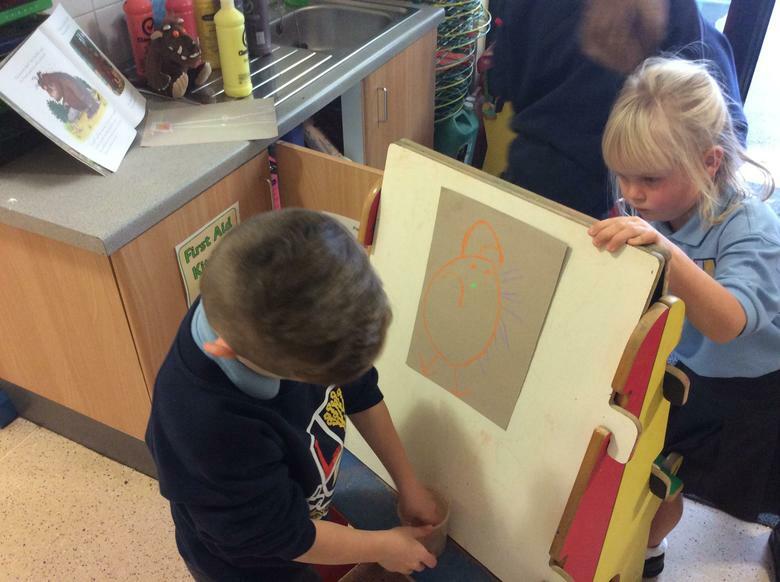 We will put lots of pictures up in the next few weeks! 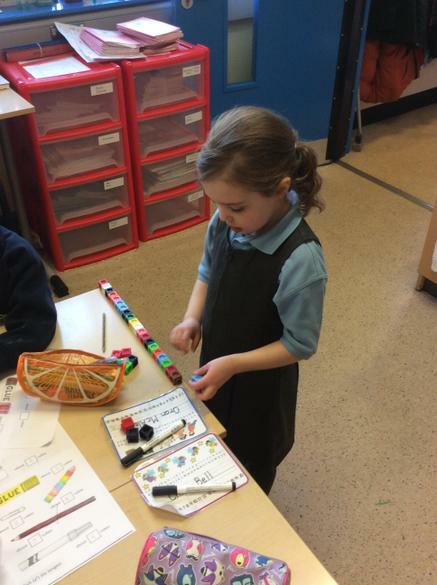 P2 Room 5 have been very busy indeed! 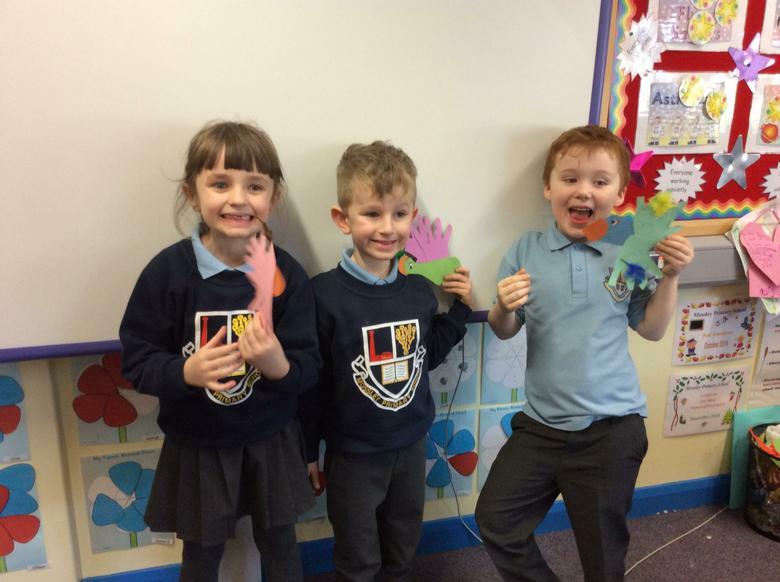 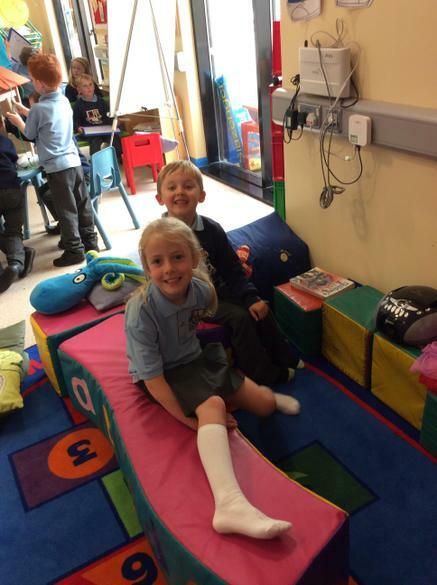 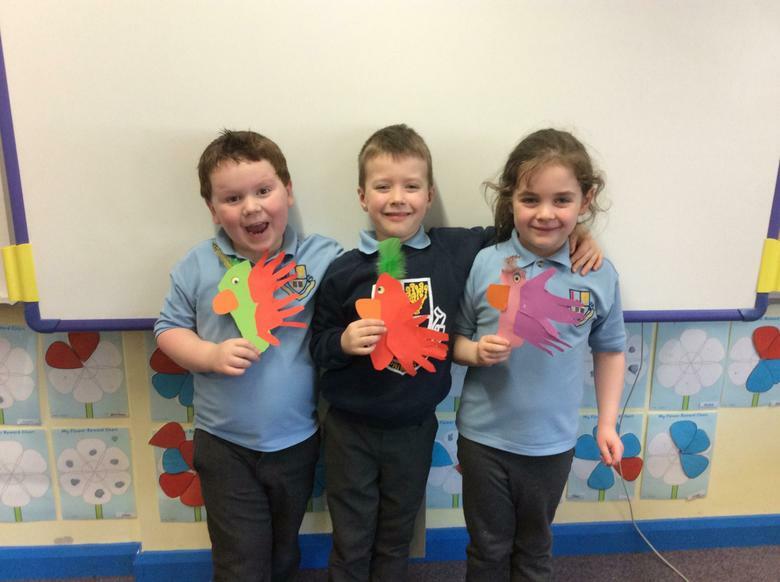 SEPTEMBER : Land of the Giants - Our first topic of P2 has been so much fun! 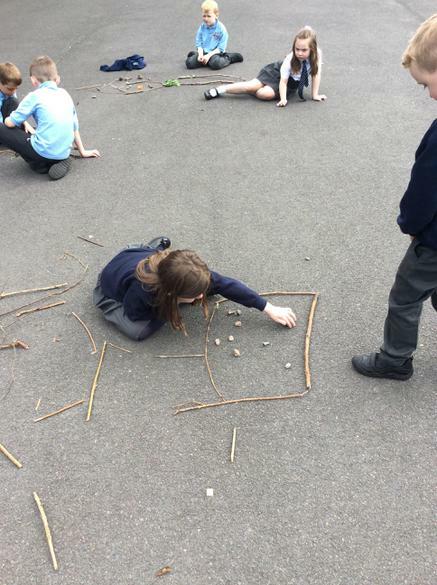 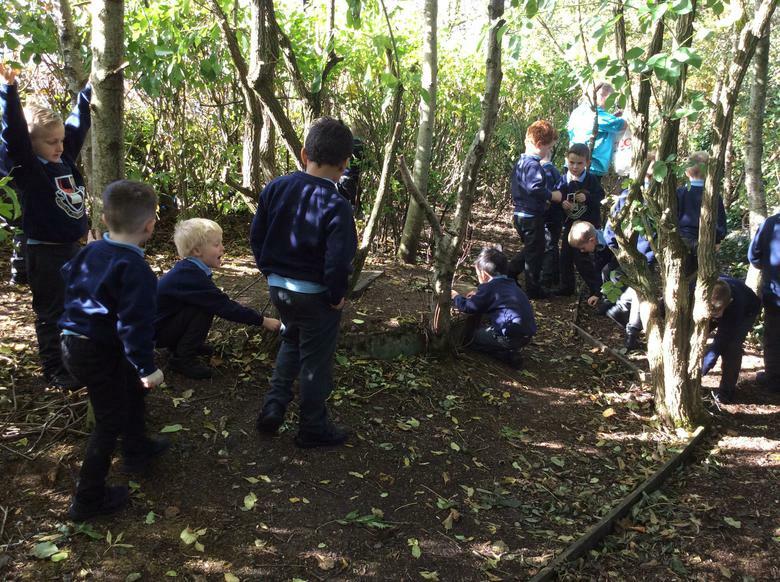 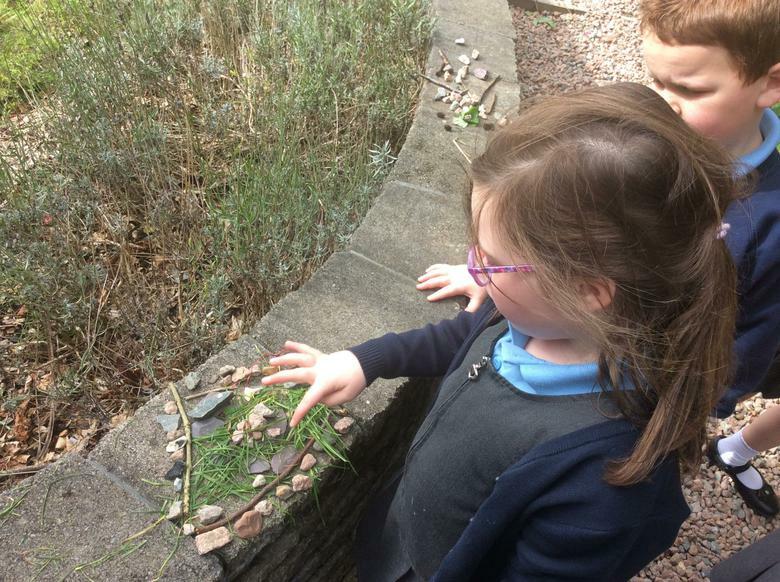 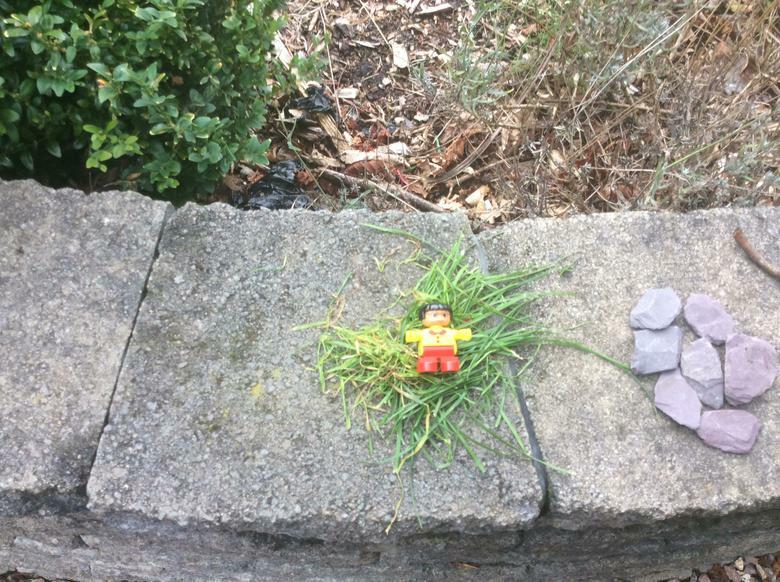 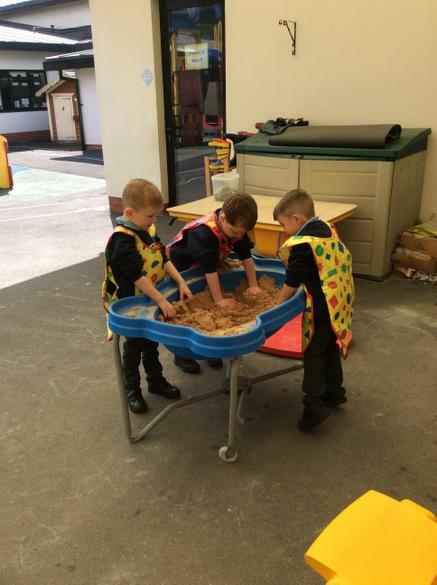 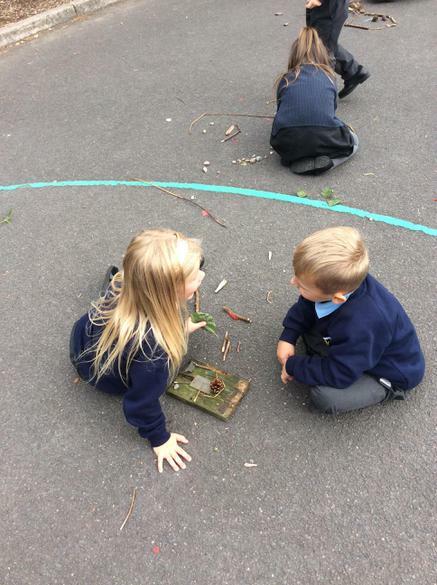 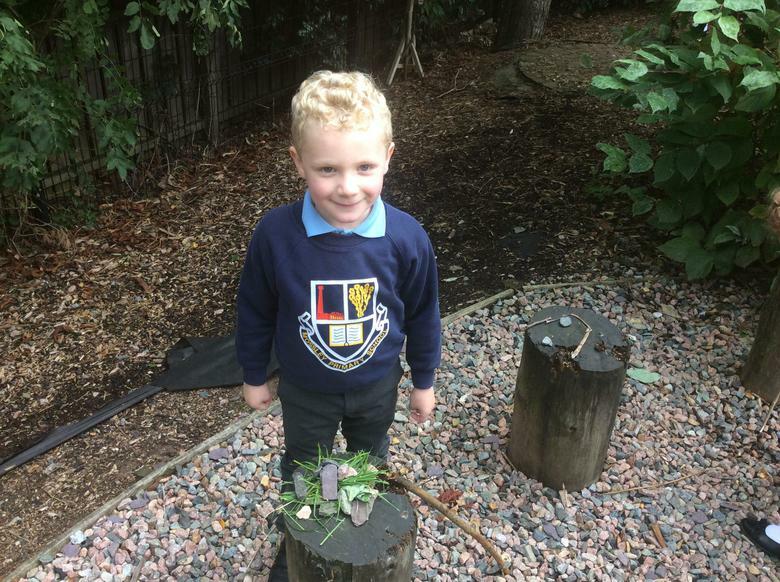 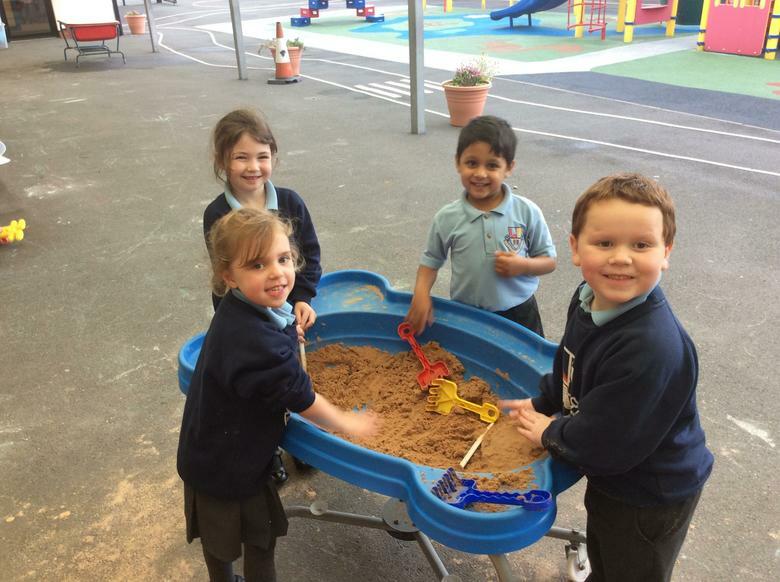 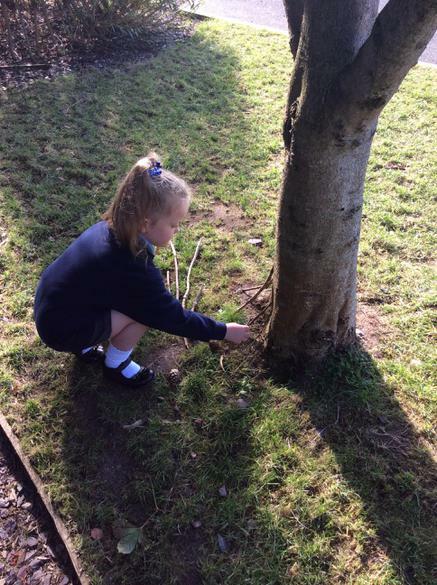 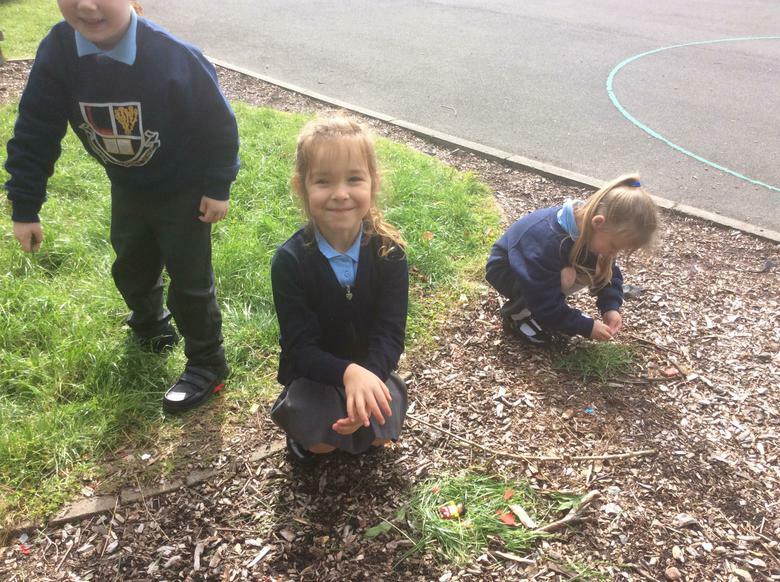 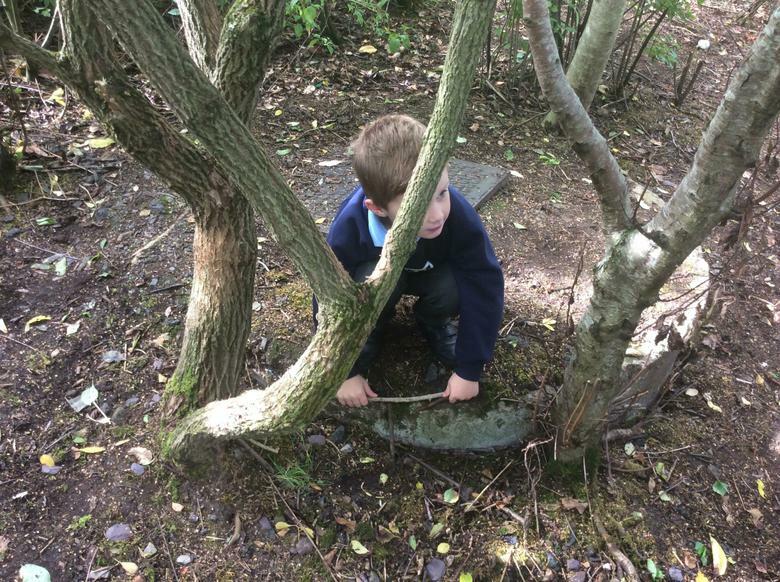 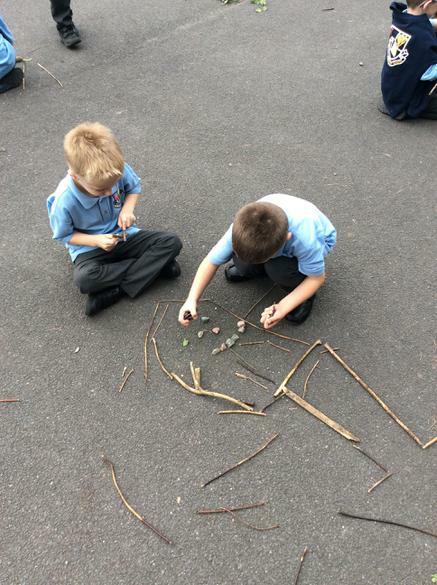 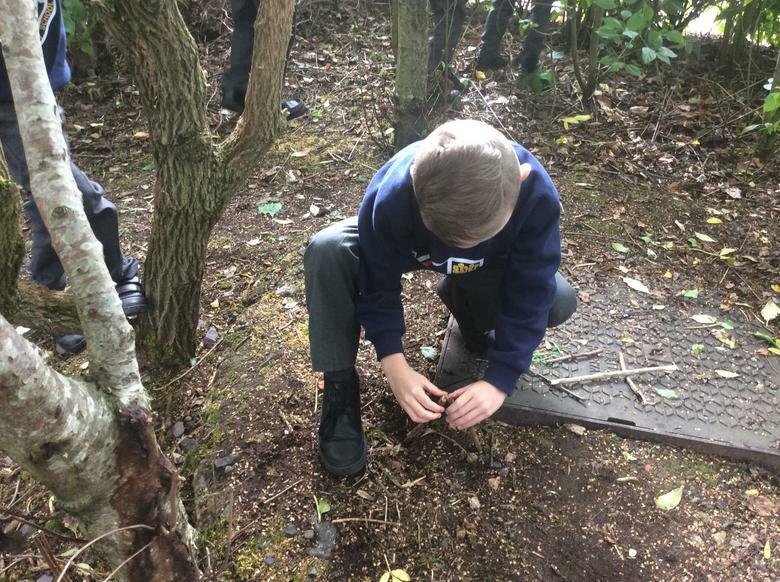 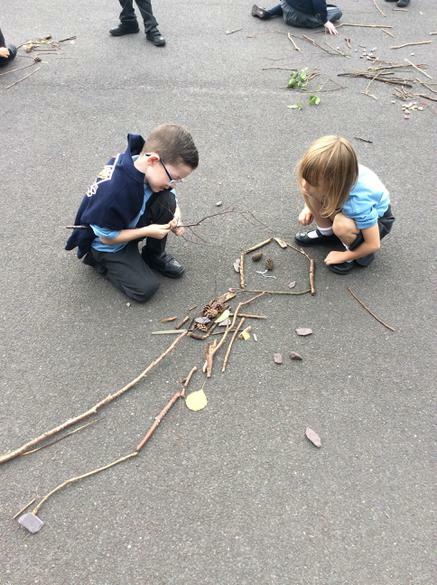 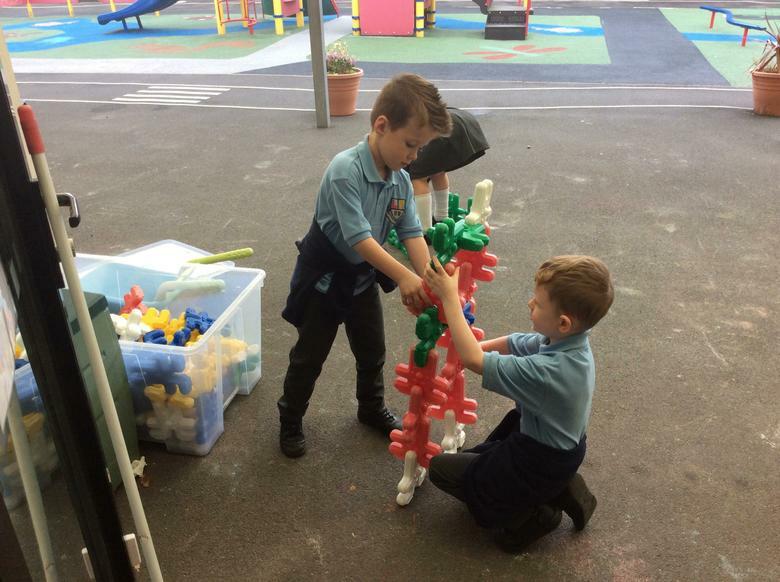 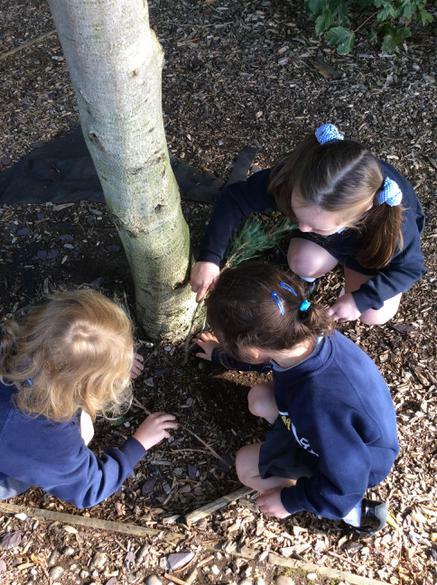 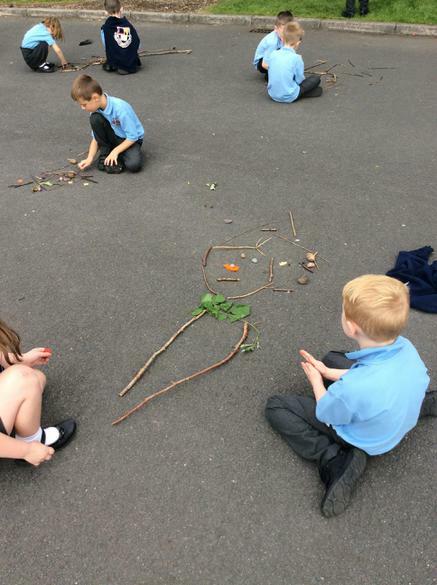 An activity loved by all was using natural materials to create Giants in the playground! 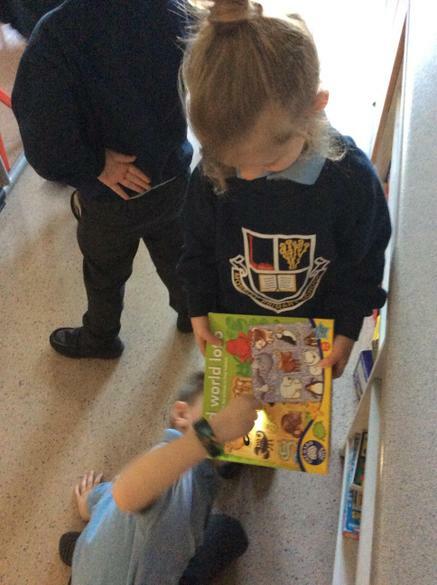 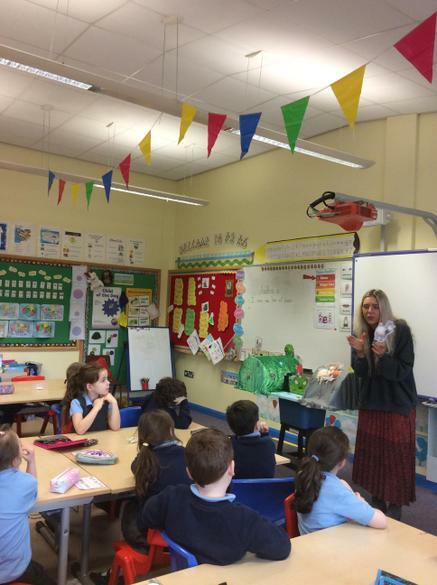 The Magic Key Learn about the characters in our reading books! 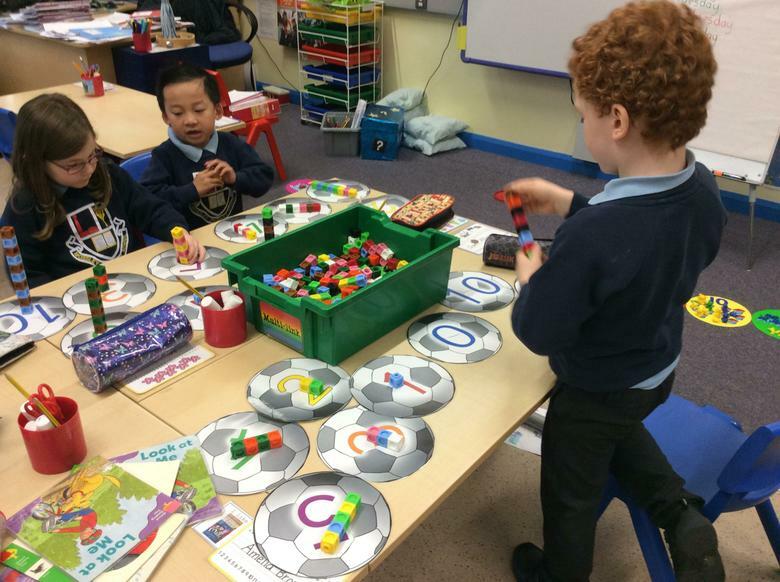 Crickweb Check out some educational games! 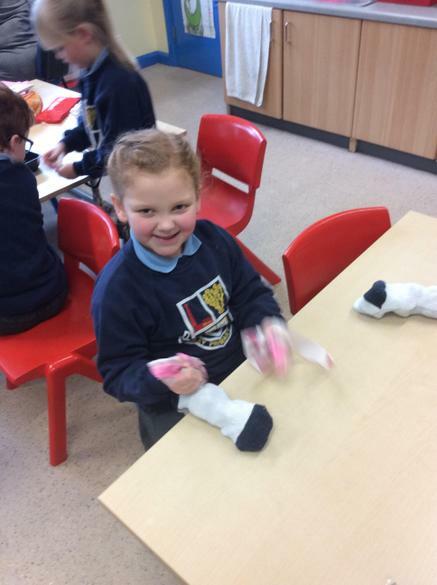 March of the Penguins Game How fast can you waddle?